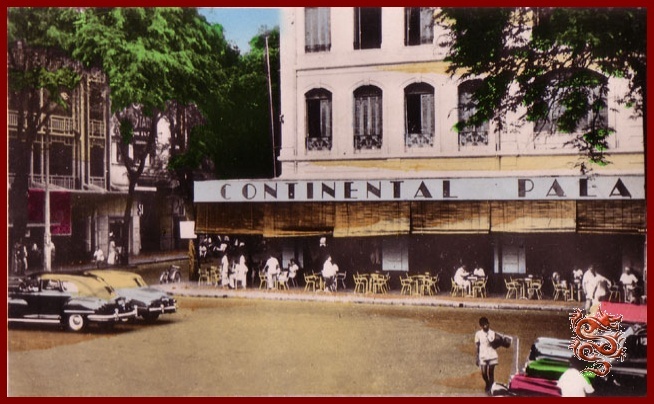 "The Hotel Continental was built in 1880 by Pierre Cazeau, a contractor for a construction materials company. 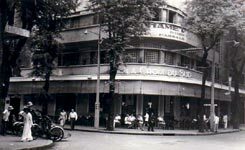 The Duke of Montpensier bought the hotel in the beginning of the 20th century for his girlfriend and later sold it to Mr. Frazetti who remained its owner until 1930. 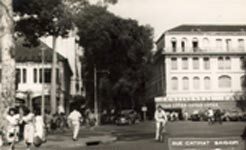 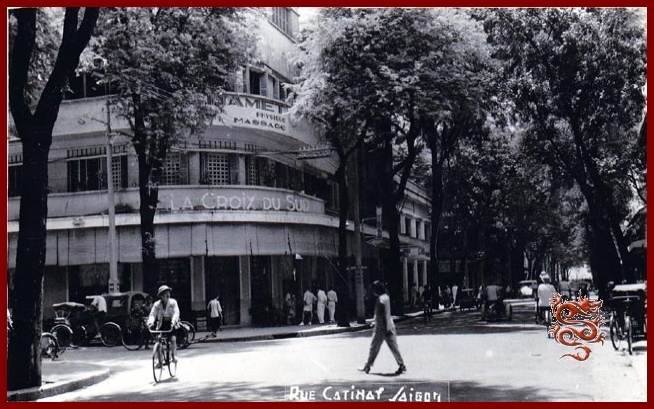 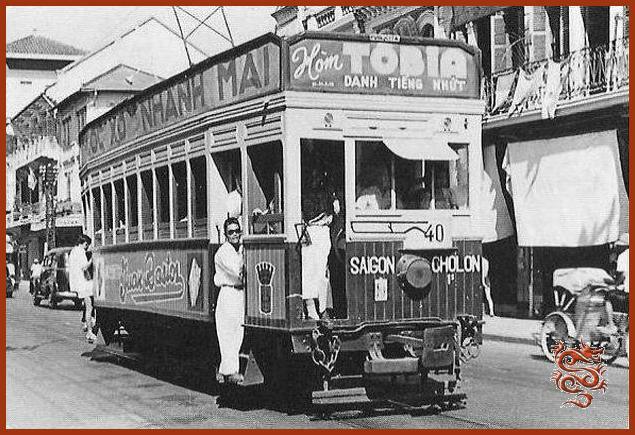 During the ’20’s, Catinat St. where the Hotel Continental was located became the “Canebière” (historic high street in the old quarter of Marseilles) of Saigon. 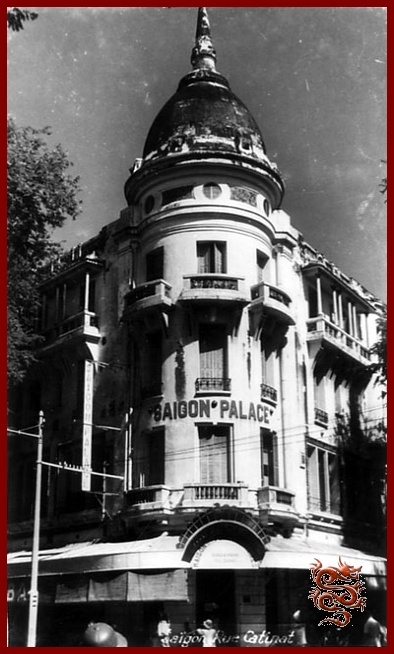 The famous writer André Malraux and his wife Clara stayed there from 1924 to 1925.
" 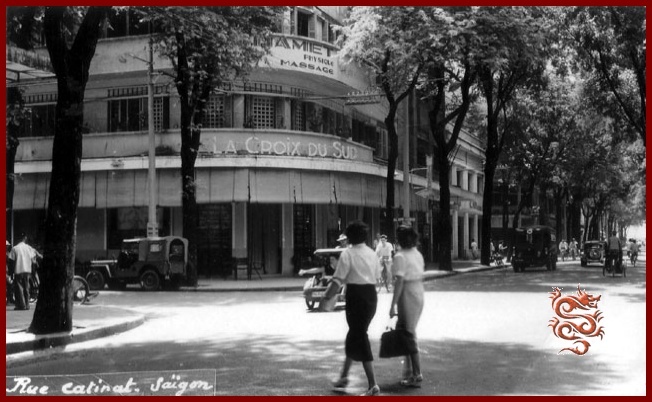 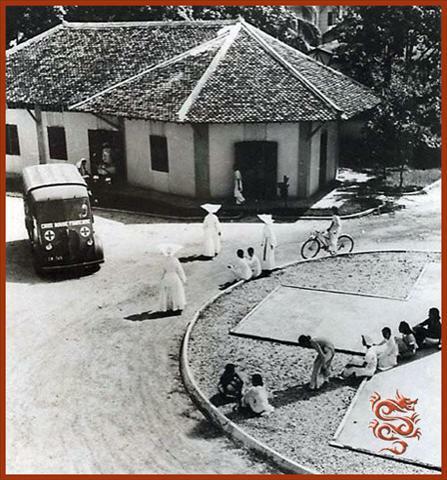 In 1930, Mathieu Franchini, a figure in the Corsican epic in Indochina, bought the hotel and successfully ran it for 30 years. 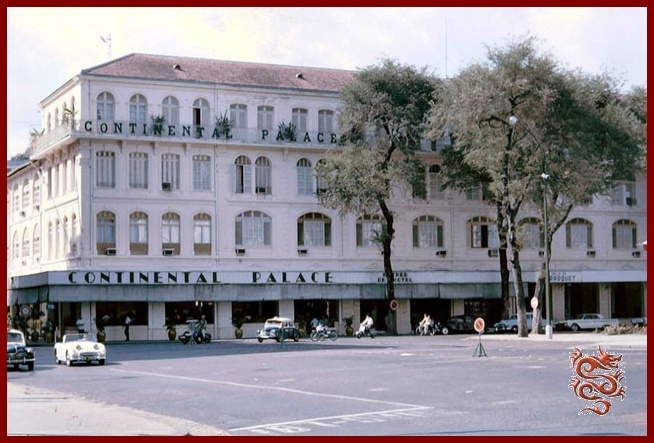 During the Second World War many weekly magazine offices set up shop in the Continental: "Time" on the first floor, "Newsweek" on the second. 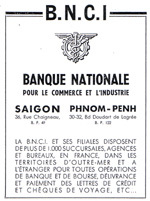 After the defeat at Dien Bien Phu, Mathieu Franchini returned to Europe. 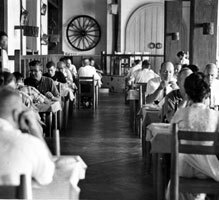 "At the Continental, at the table of the Senators which that of Oscar Berquet had followed in the first years of the century, and those of the twenty-two, were now seated the Corsicans, the old friends of my father, old colonials like himself. 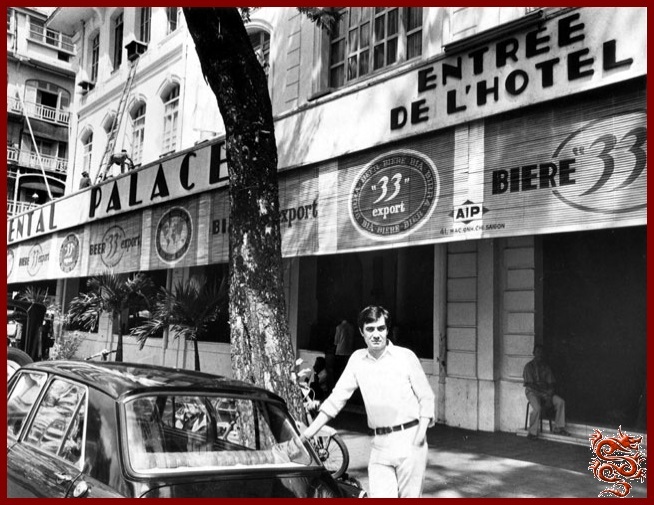 Whether they stayed inside the hotel at the edge of the garden or on the sidewalk, at the tip of the angle formed by Catinat St. and Theater square, they got together every day at apéritif-time and in the rediscovered aroma of pastis. 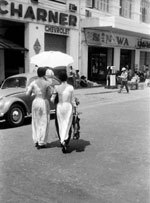 Civil servants or peaceful magistrates, they always conversed in patois. 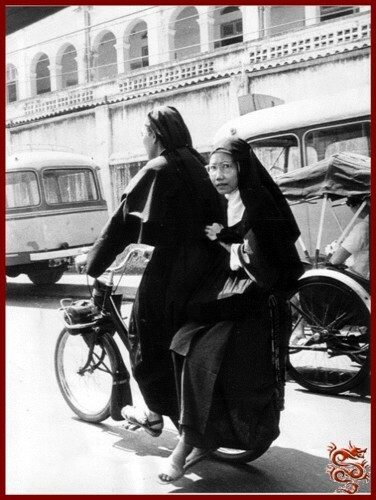 It was their way of recapturing the spirit of the homeland, to feel the wind of the back country penetrating their lungs. 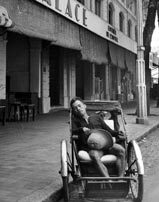 Since they had been living in Indochina some of them had picked up the habit of opium. 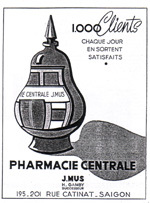 This explained the punctuality with which they arose to return home at the demanding time of the magic pipe. 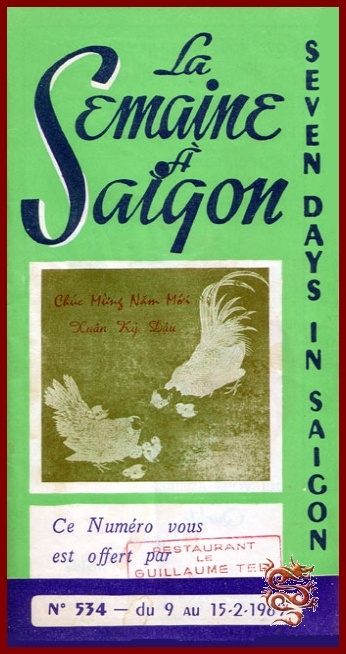 These reunions, to which the old colony had become accustomed, were nothing more than peaceful and normal, but to which new arrivals and transient foreigners attributed secret or less-than-honorable intentions. 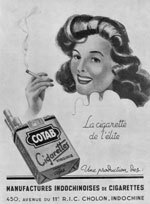 The Corsicans and their dialect both intrigued and irritated." 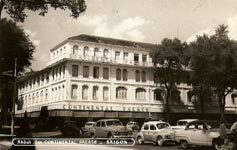 The reasons for which reporters chose the Hotel Continental were quite simple, since it was located in the heart of Saigon across from the National Assembly (today the Municipal Theater) where the international press would get together to collect information on the various wars on the Indochina peninsula. 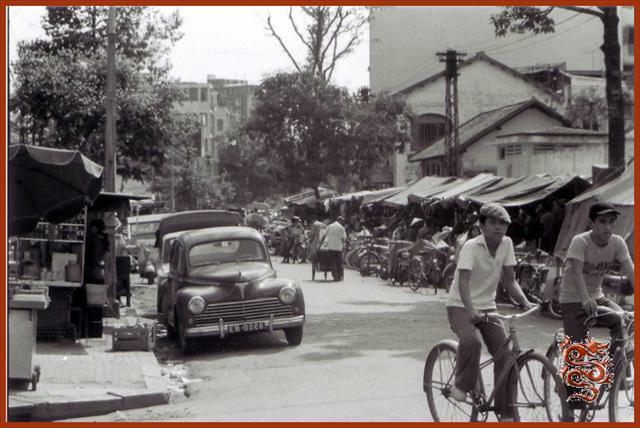 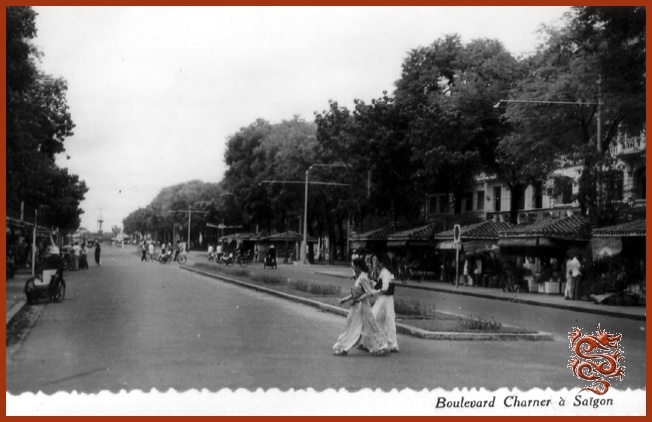 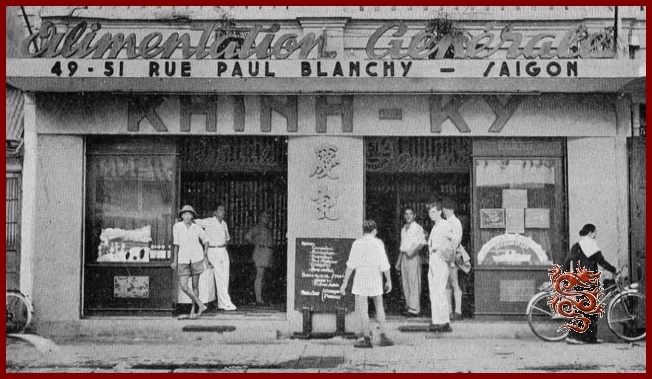 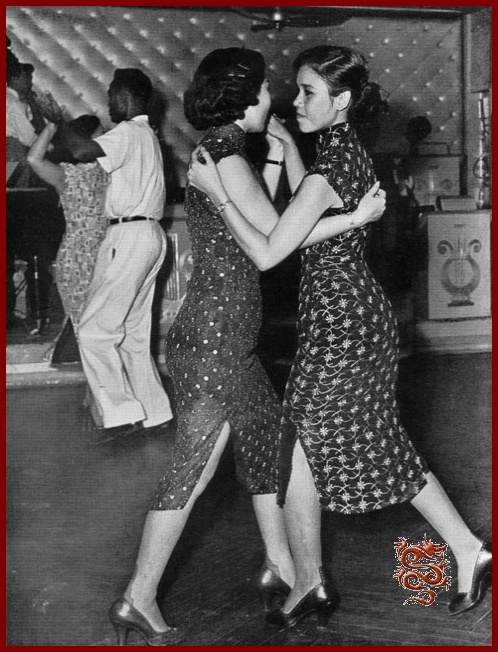 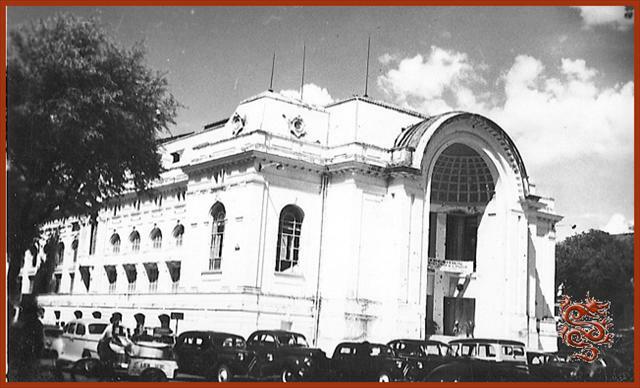 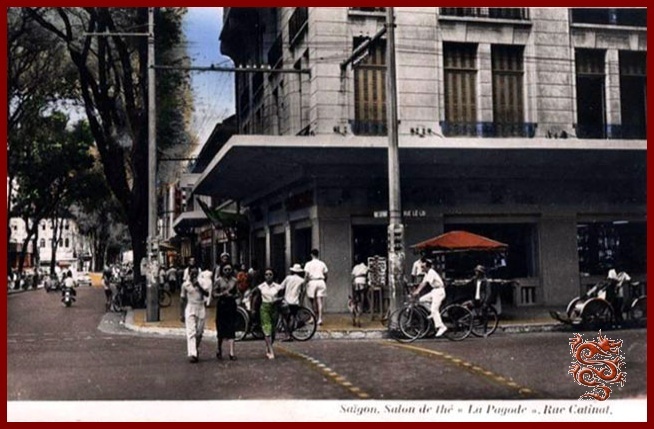 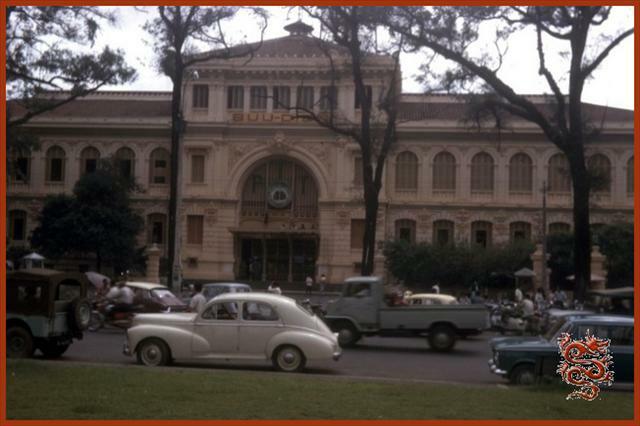 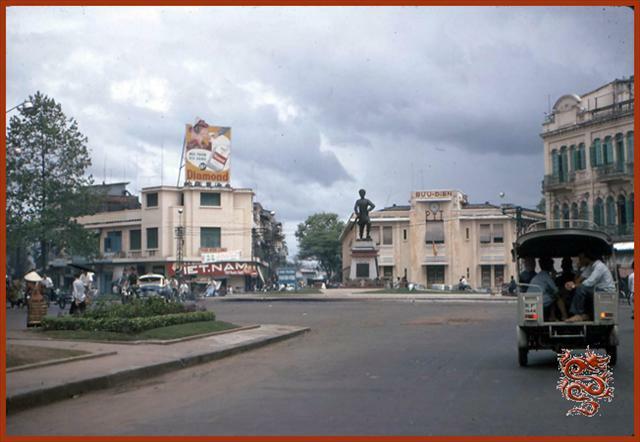 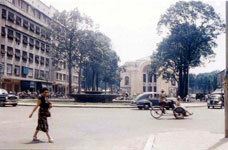 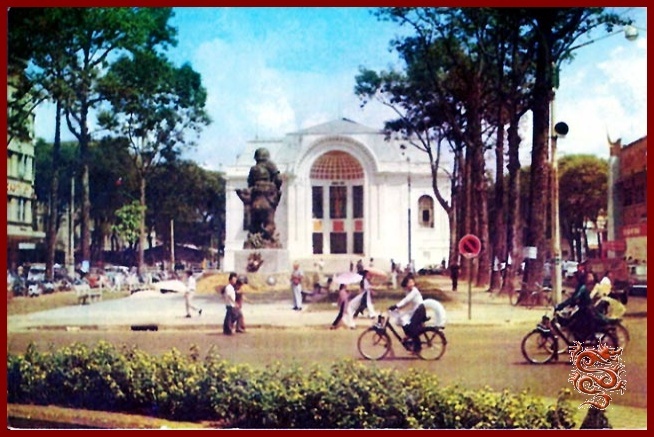 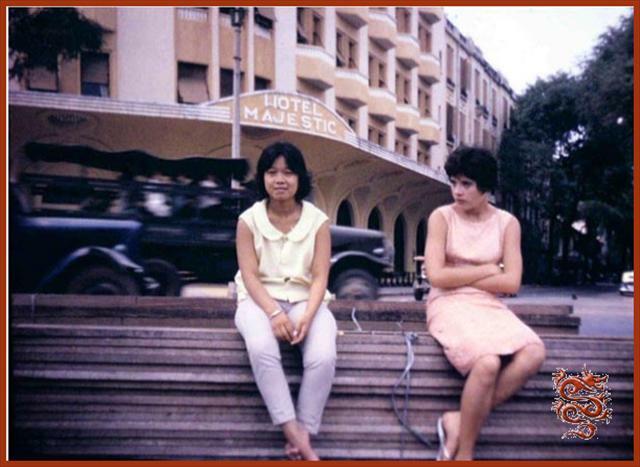 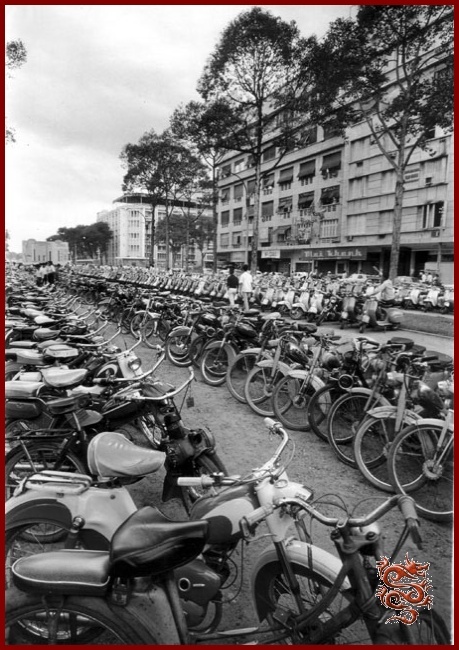 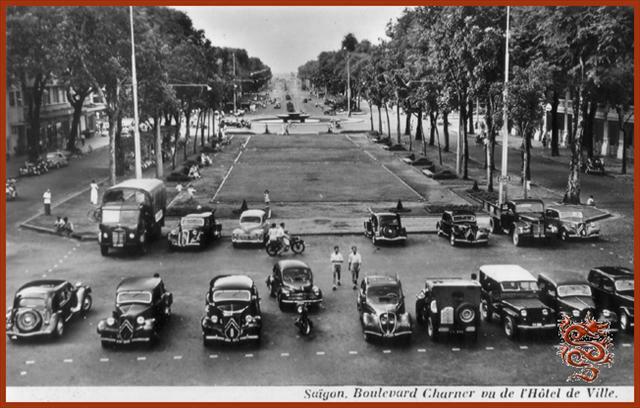 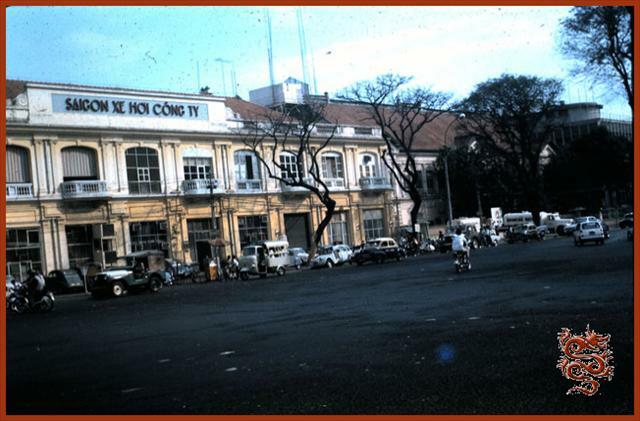 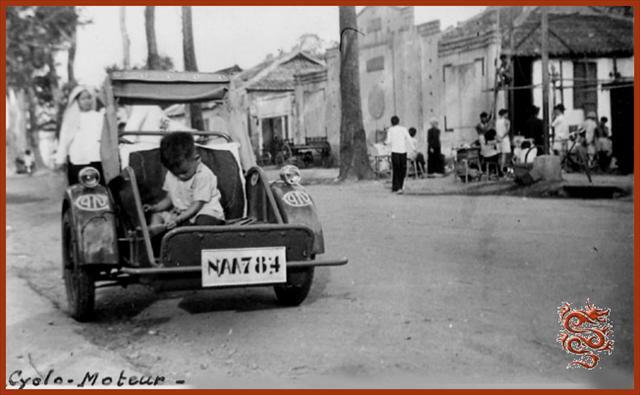 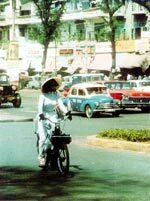 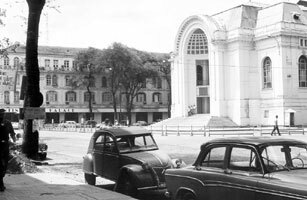 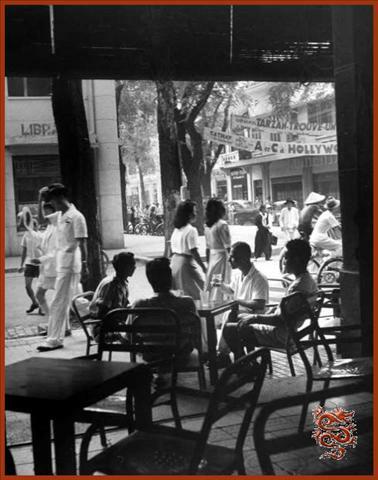 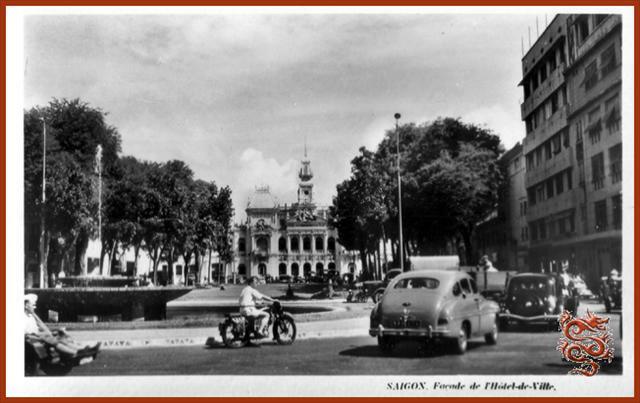 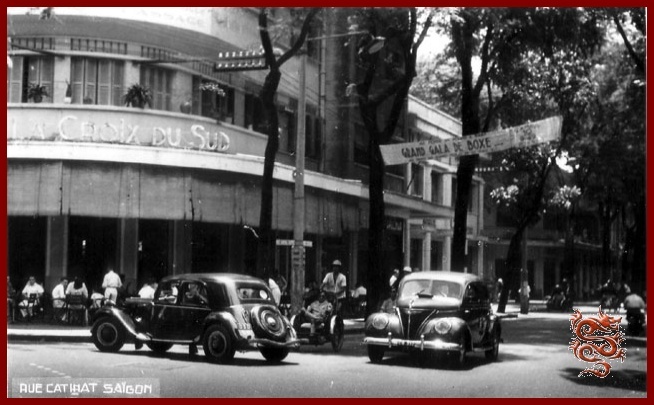 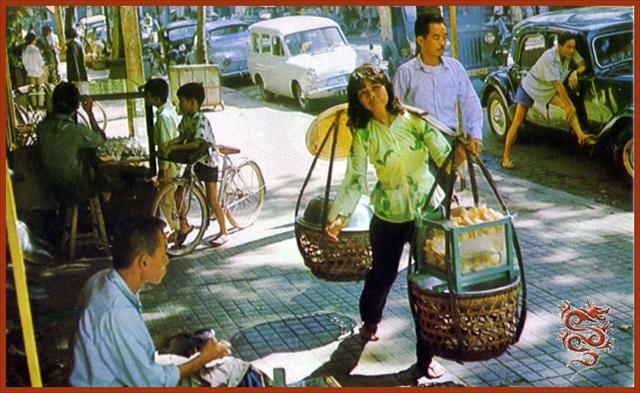 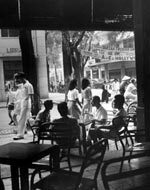 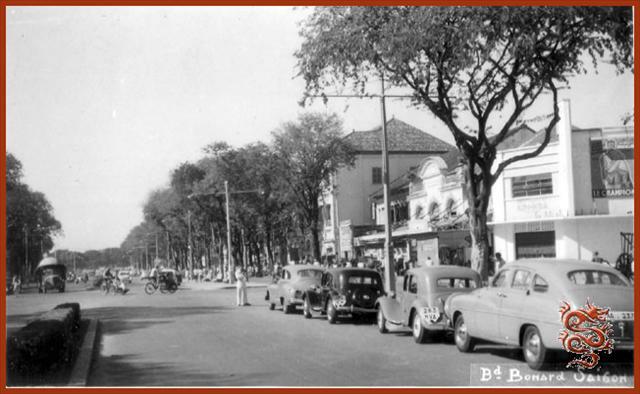 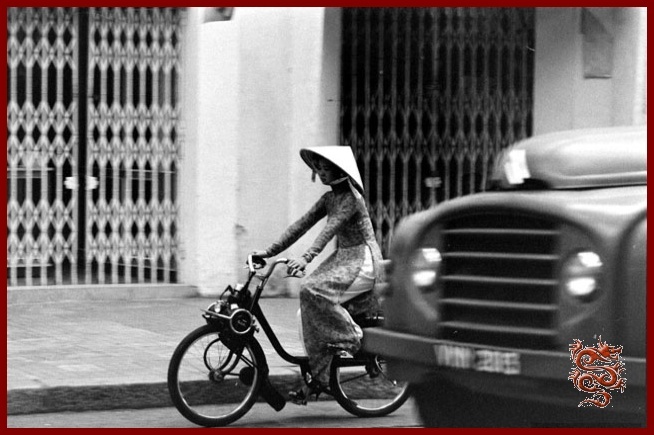 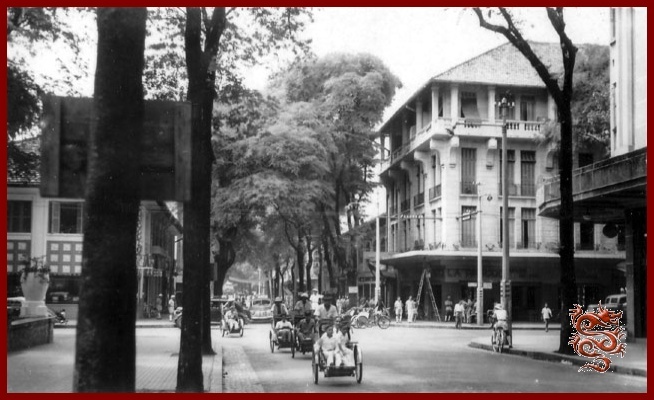 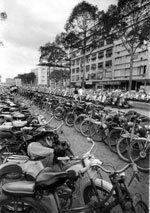 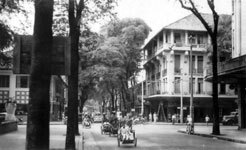 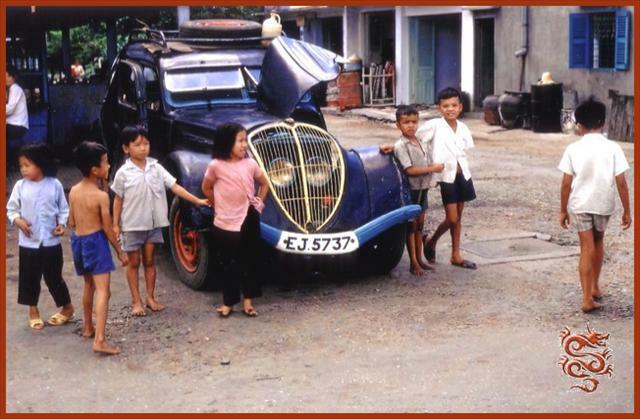 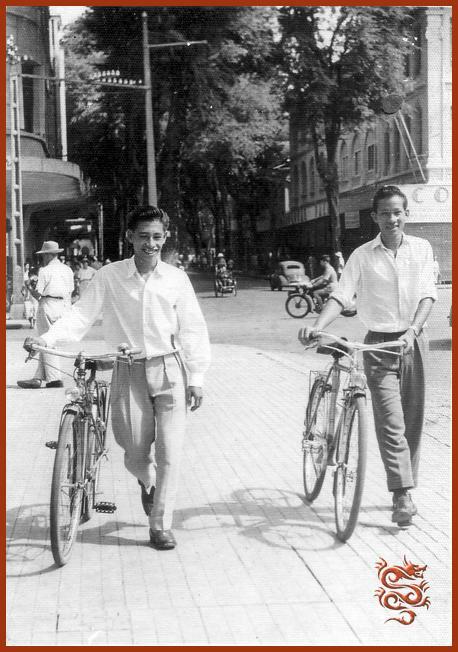 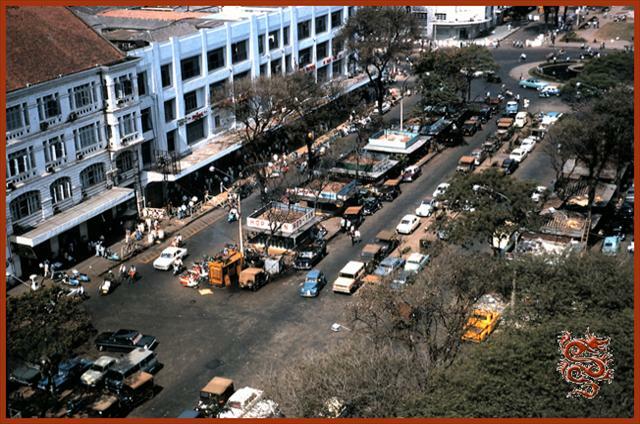 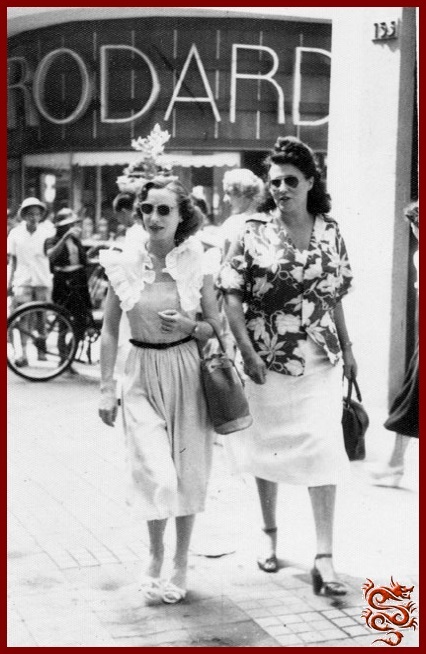 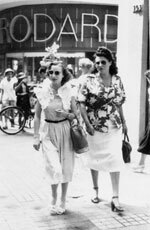 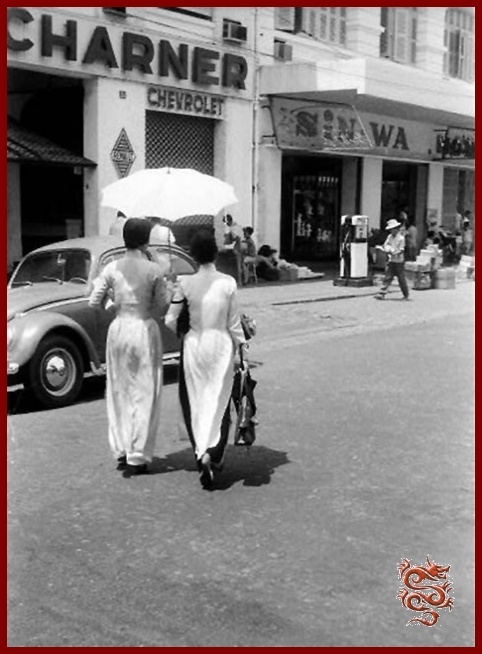 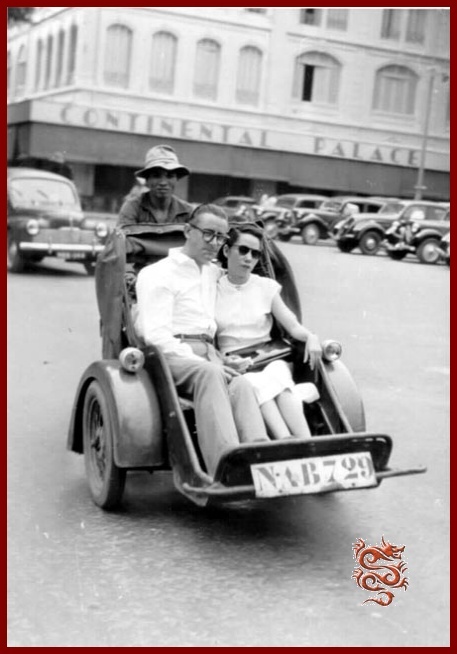 At the end of the ‘40’s and beginning of the ‘50’s its terrace, nicknamed “Radio Catinat”, had again become the meeting-place for all-Saigon, the center of all intrigue and all the town’s gossip. 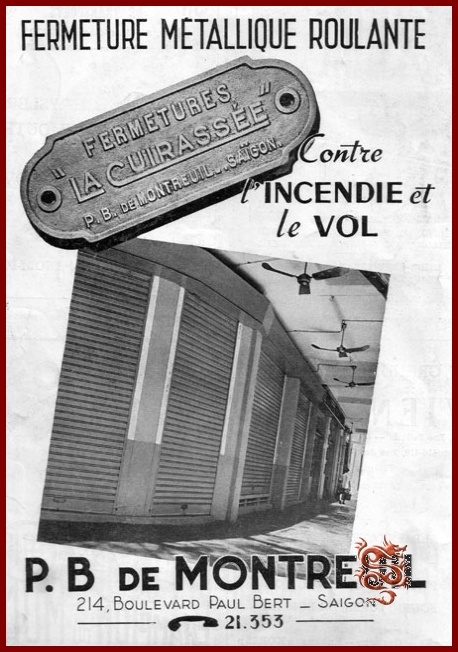 Its famous restaurant “Le Perroquet” was never empty !! 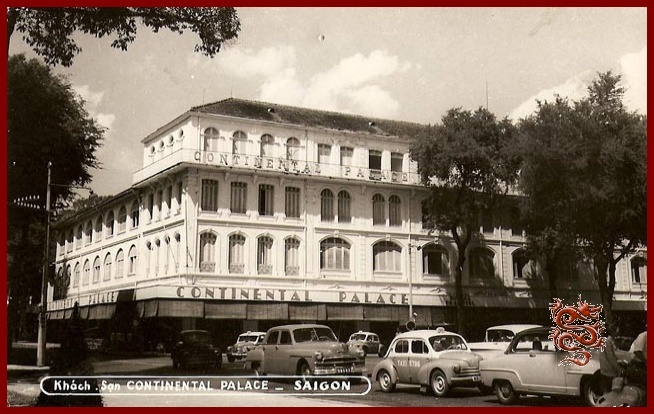 Patrons considered themselves at home at the Continental as André Malraux had done in the ‘30’s, and in the beginning of the ‘50’s the British author Graham Greene (a regular in room 214), author of the book “The Quiet American”, which was twice adapted for the screen in 1958 and 2002. 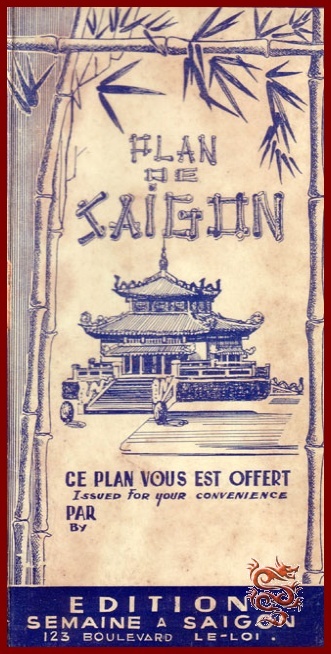 It was a book that told of the last days of the French in Indochina, and the beginning of the American presence in the future Vietnam. 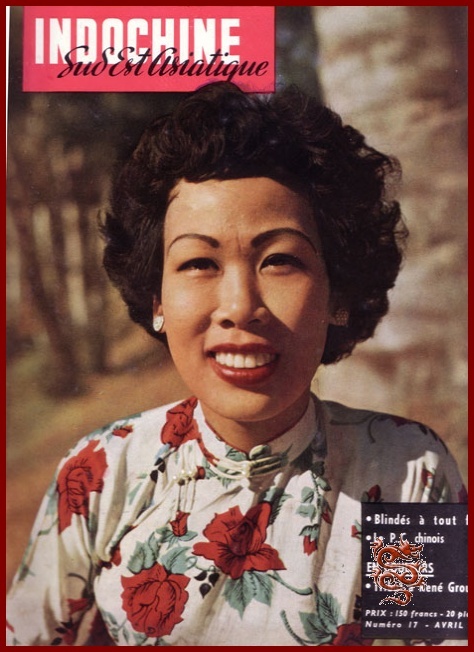 Lucien Bodard was a famous reporter for “France-Soir” from 1948 to 1975, nicknamed “Lulu le Chinois” (“Chinese Lulu”) by his colleagues because of his birth in Chongging, Sichuan province, China in 1914.He was a war correspondent in Indochina from 1948 to 1955, and naturally, stayed at the Hotel Continental. 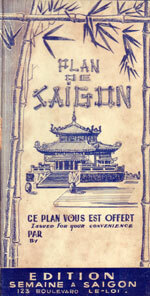 Of course we can’t forget Jean Lartéguy either, who wrote “Farewell to Saigon” in 1975. 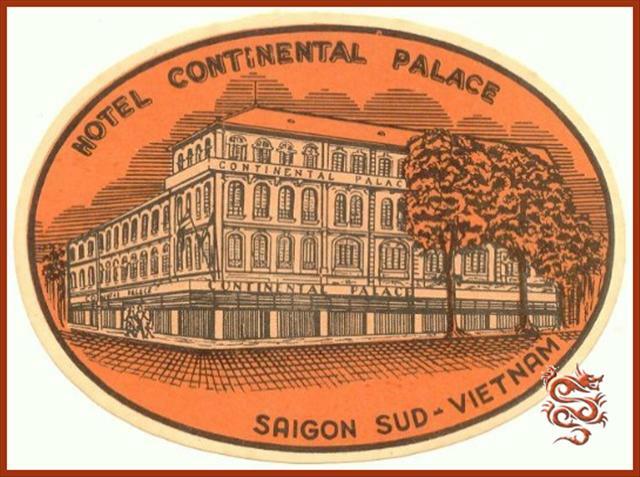 It was written day-to-day in a room of the Hotel Continental in Saigon. 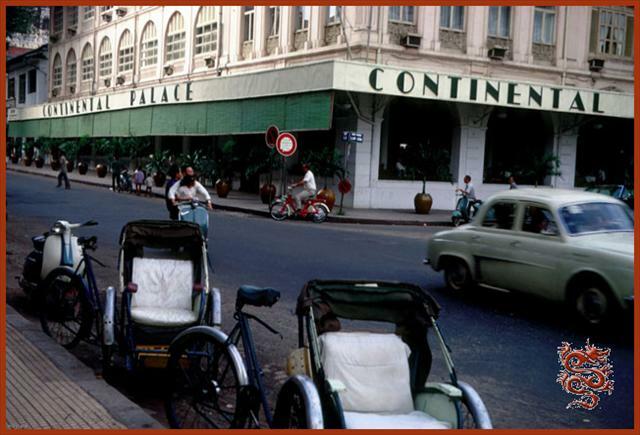 Jean Lartéguy describes the final hours of a city he loved which bore the pretty name “Saigon”, and the birth of another, “Ho Chi Minh City”, which he doesn’t much care for. 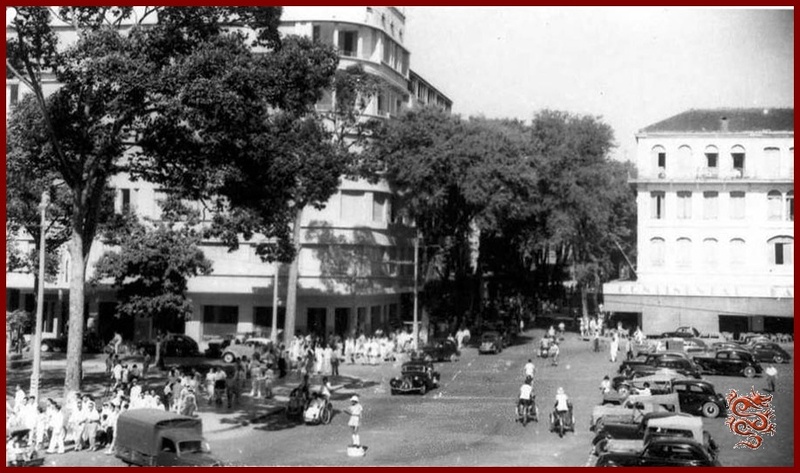 It’s also the farewell of the soldier, of the journalist, of the writer, to the country where he had known extraordinary adventures, the memory of which comes back during the long nights of the curfew. 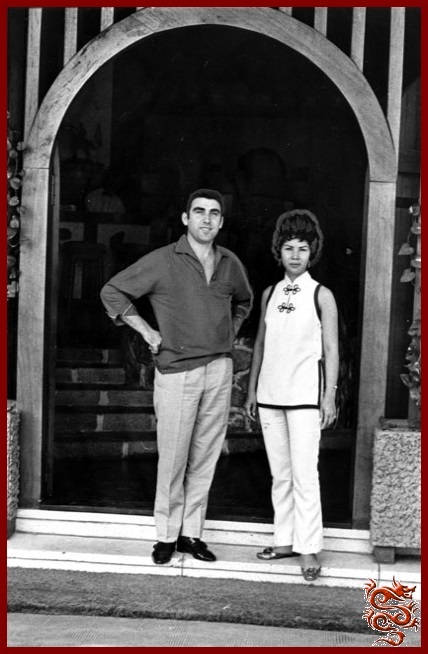 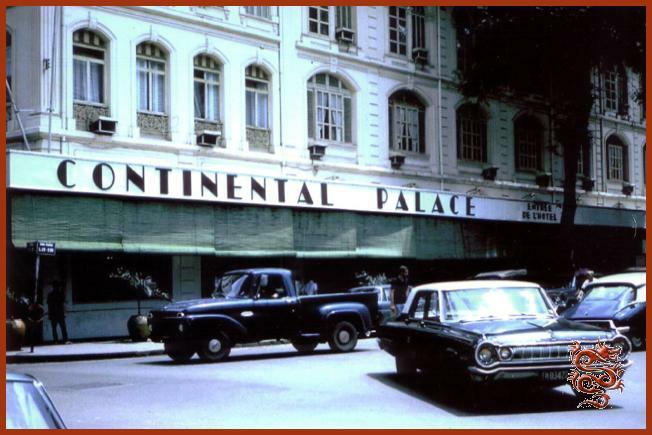 April 1967 : Simon and Anna Faby operate the "La Dolce Vita" restaurant attached to the old Continental Palace Hotel. 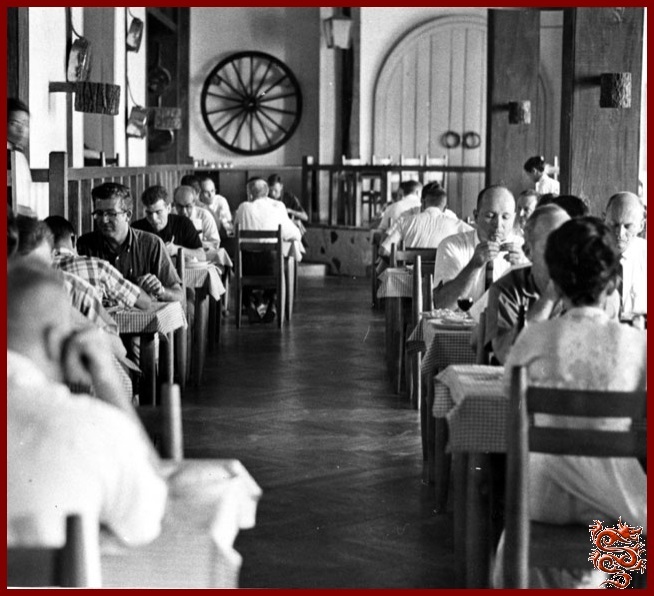 The top center picture shows an interior view of the restaurant. 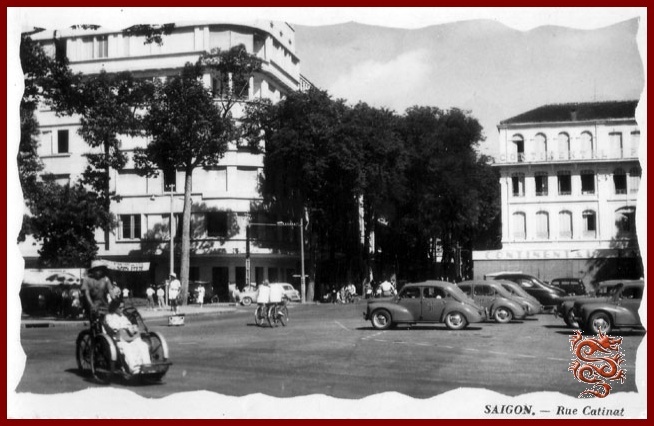 Across the street is the Caravelle, probably Saigon's best-know hotel. 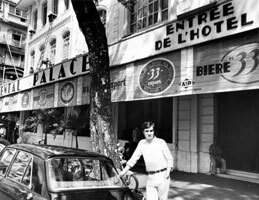 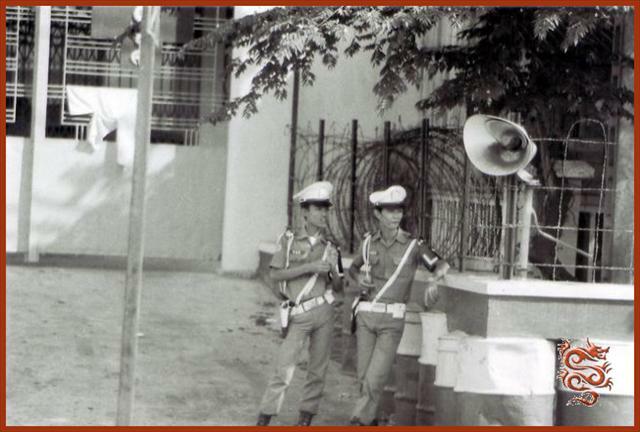 Sept 13, 1973 : Philippe Franchini, proprietor of the Continental Palace, waits outside his etablishment in Saigon. 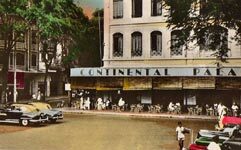 The rooms and restaurants of the Continental, once host to the elite and wealthy, are almost empty now. 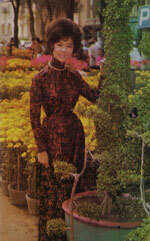 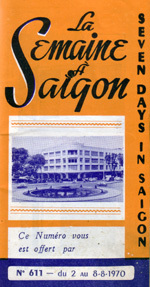 The hotel closed in 1975 a few weeks after the fall of Saigon and reopened in 1989 after being nationalized. 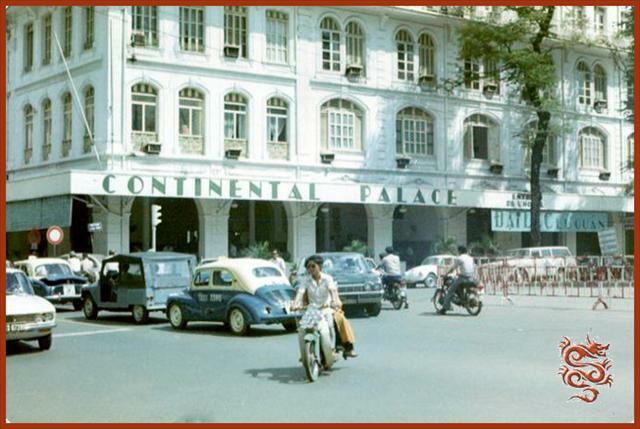 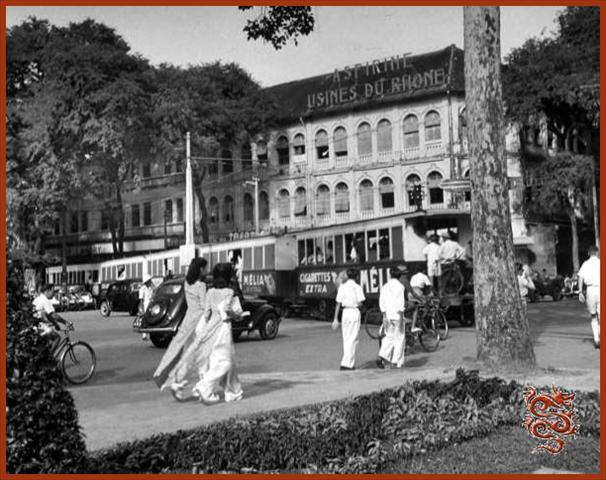 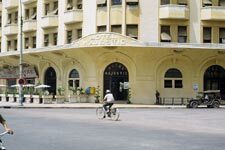 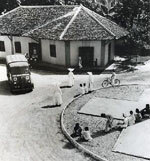 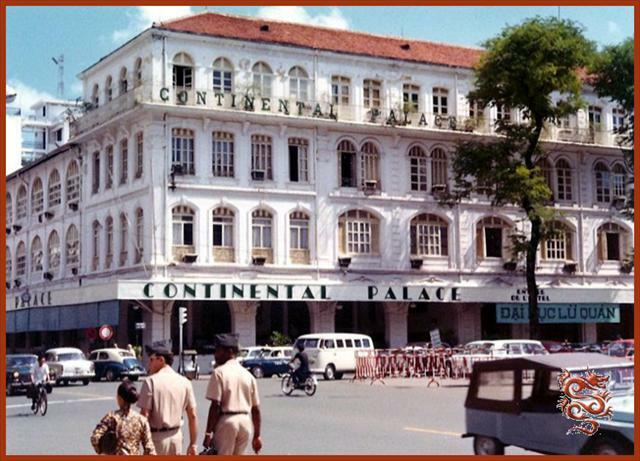 Today the Hotel Continental remains one of the greatest symbols of the French presence in Cochin China. 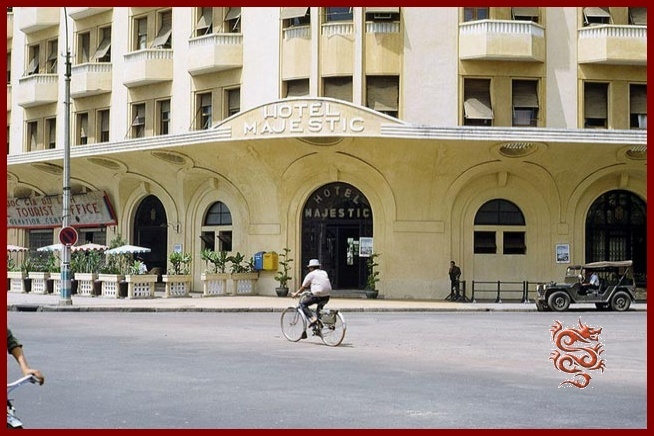 A magnificent bronze statue of Napoleon in the lobby remains as a testament to its Corsican owners. 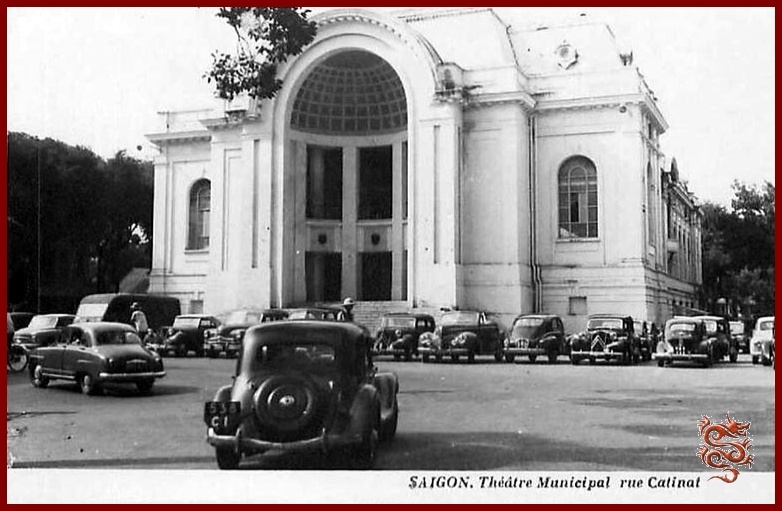 The Municipal Theater was built in 1910 by the architecture firm of Félix Ollivier, Ernest Guichard, and Eugène Ferret. 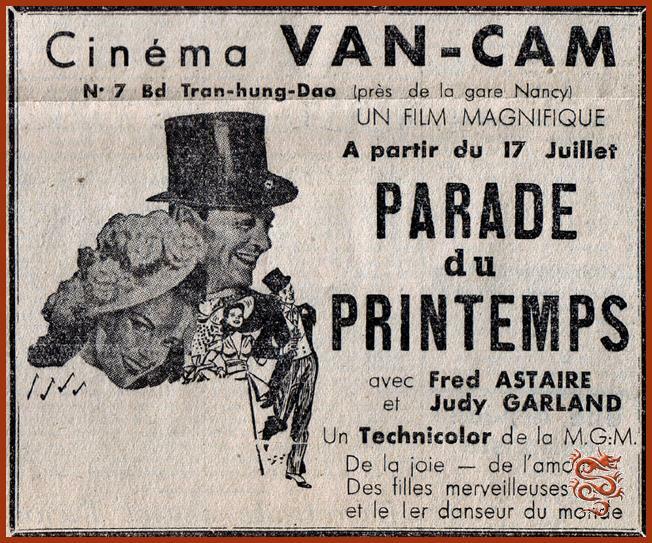 Hosting theater companies from Paris or divas just passing through, it enlivened somewhat the city in which the elite got bored in the evening. 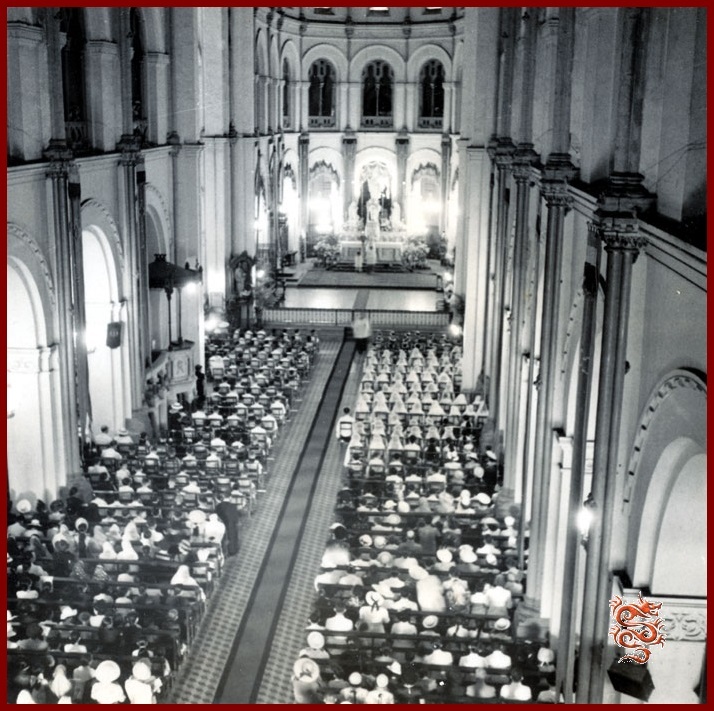 It was inaugurated in the presence of Prince Waldemar of Denmark. 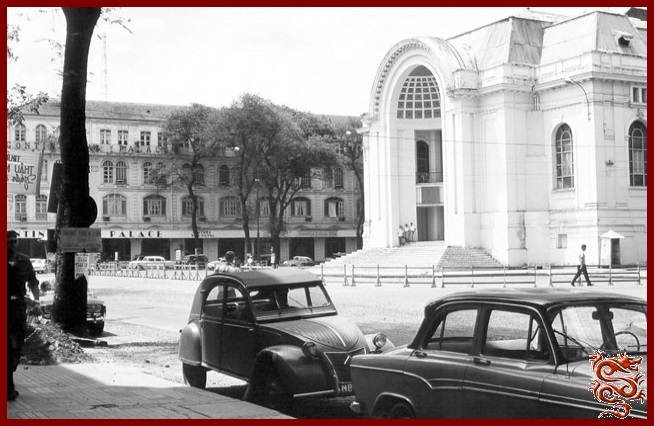 In the architectural style of the Third French Republic, the façade is inspired by the Petit-Palais in Paris. 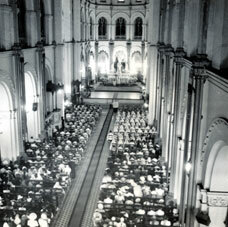 The interior appointments are well-equipped with perfect acoustics and lighting. 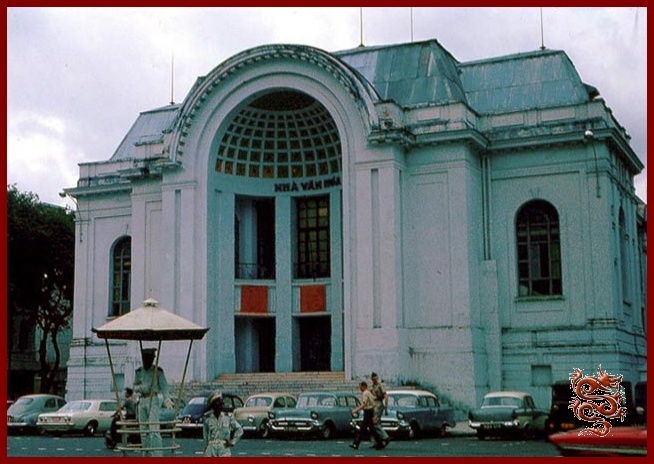 The building includes a general-seating area and two balconies, for a total of 1800 seats. 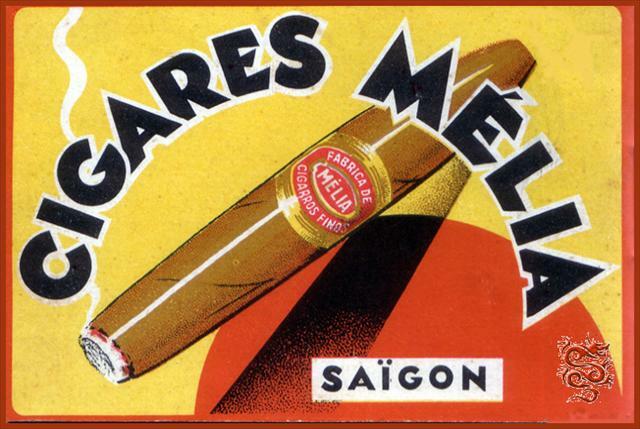 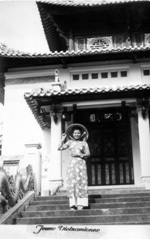 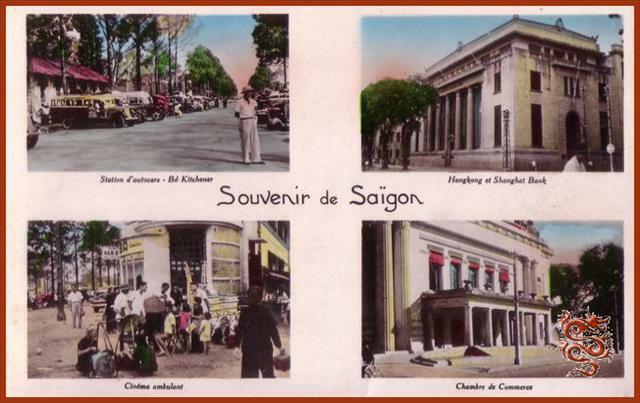 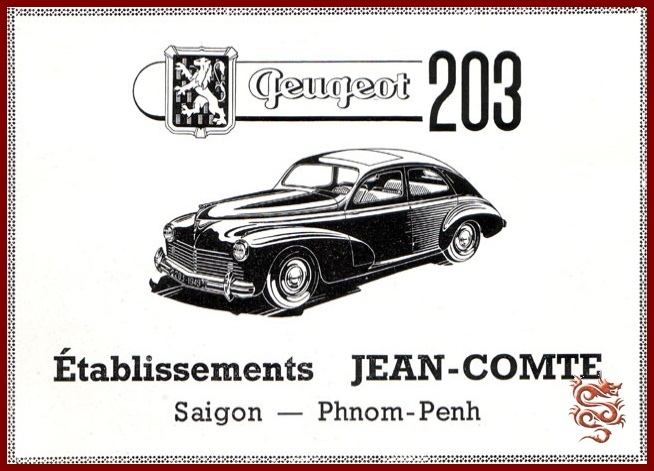 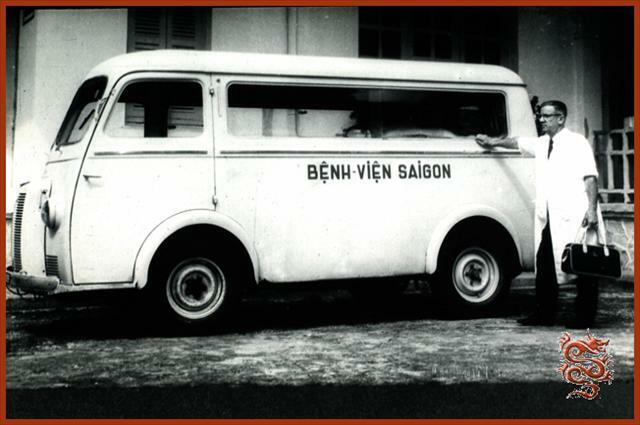 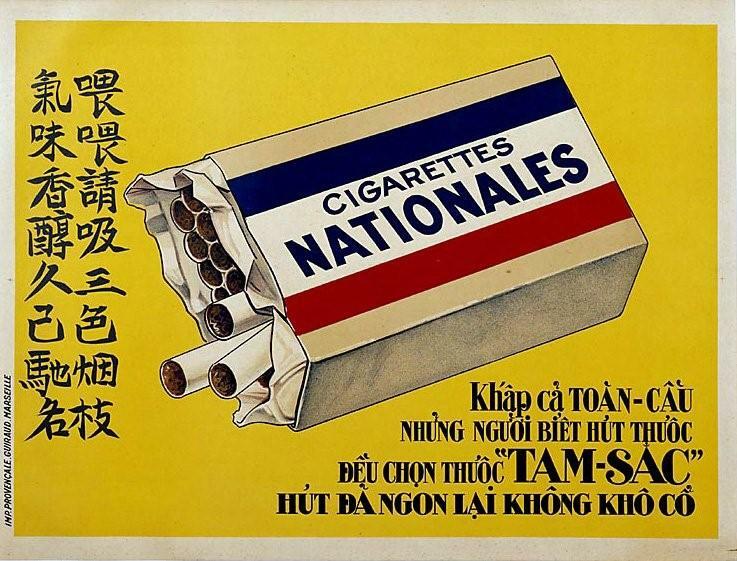 Décor, inscriptions, and furniture were designed in France by famous French artists and sent to Saigon. 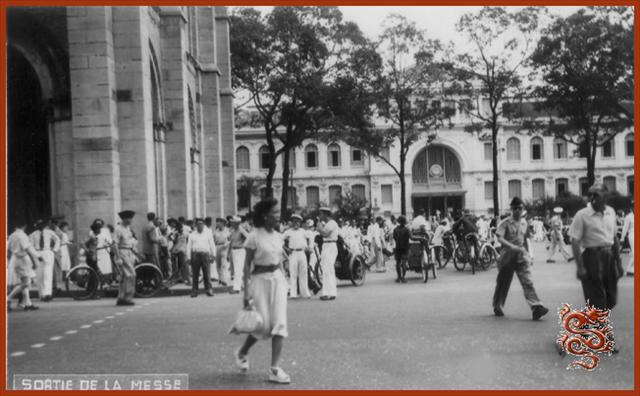 In 1943 a part of this décor was removed during the Japanese occupation. 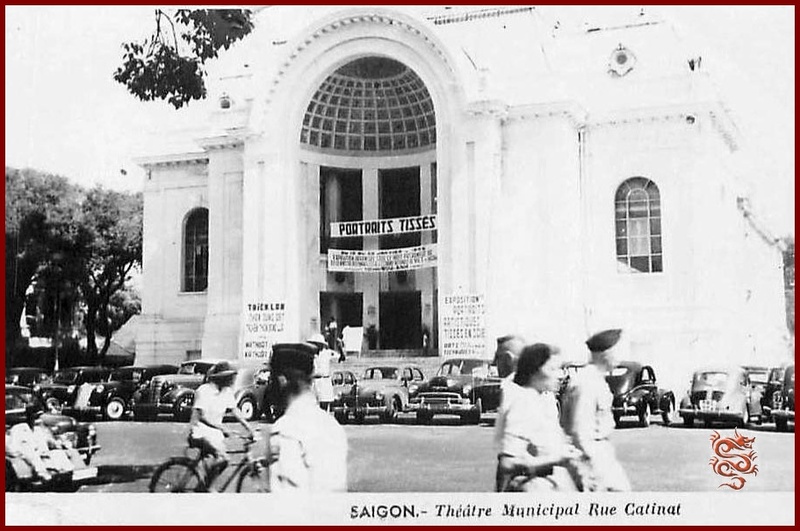 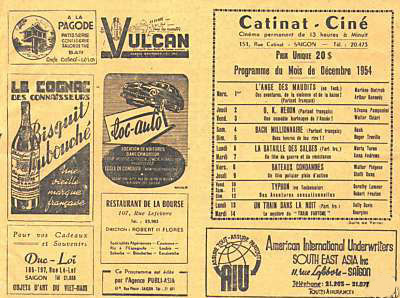 The theater is located on Francis Garnier Square, across from the Hotel Continental. 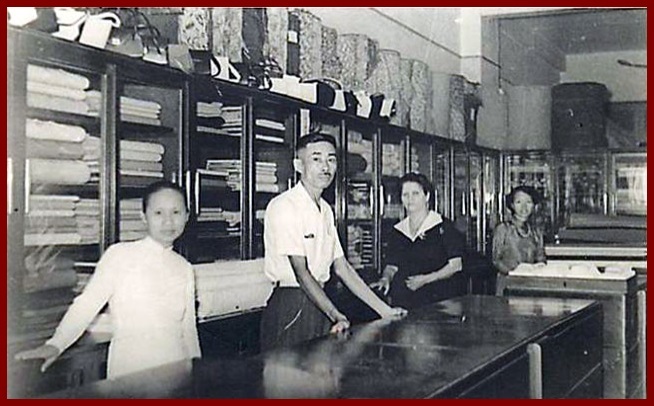 Mr. Albert Portail, founder of the company which bears his name, arrived in Saigon on April 13th, 1905, having been hired by the Ménard-Rey printing company, of which he became the manager in 1908. 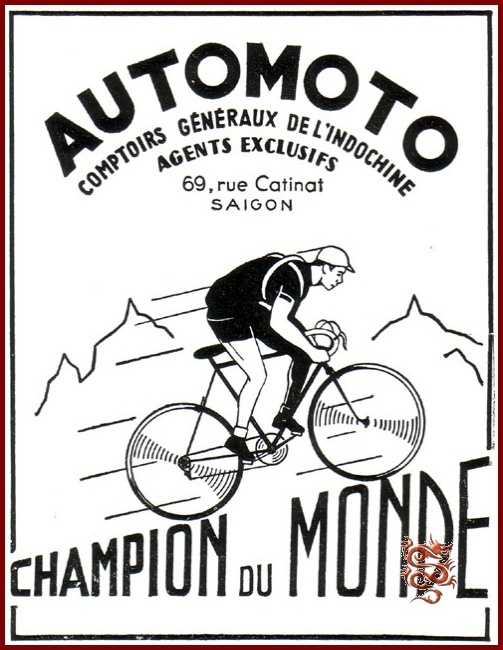 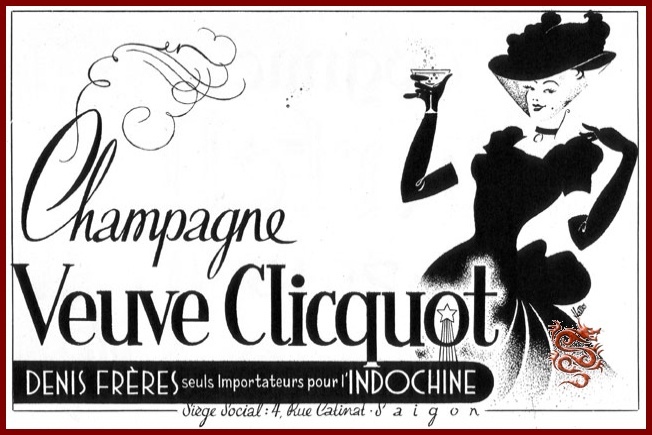 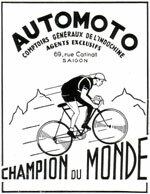 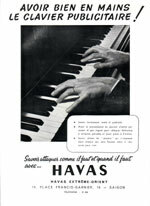 In 1910, he acquired the New Coudurier & Montegout Printing Company, formerly the Claude Company, established in 1881. 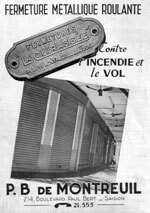 This printing company also featured a small book shop located at 109 Catinat Street, on the future site of the Pharmacie de France. 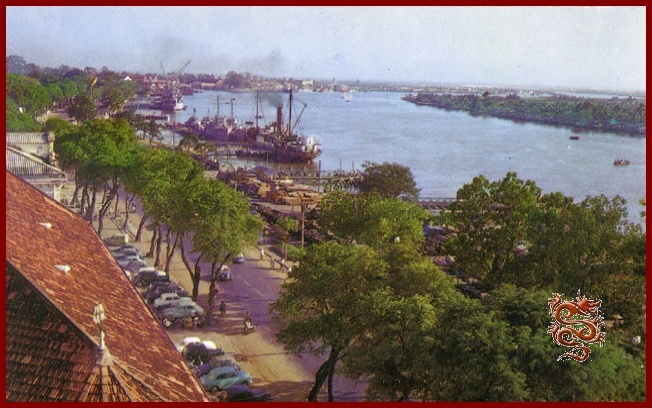 In Phnom Penh it took up five storefronts on the docks. 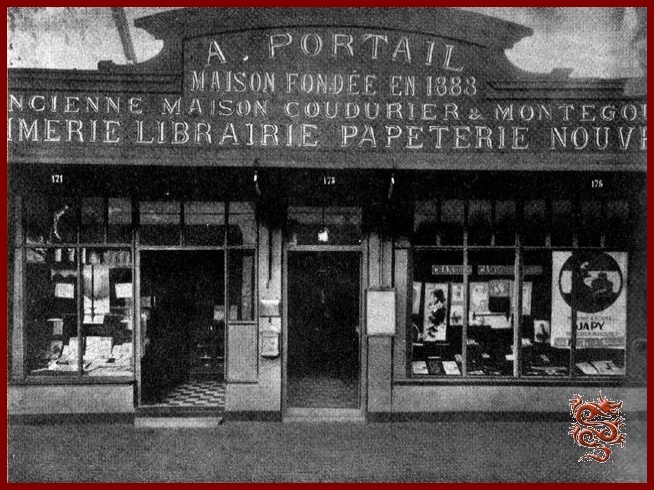 It was from these fragile beginnings that Mr. Portail would build the largest French book- and stationery establishment in the Far-East. 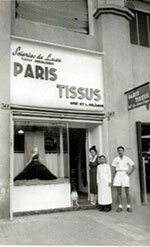 The store moved for the first time, to No. 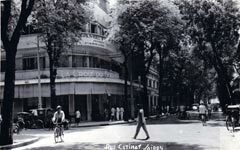 177 Catinat Street, then in 1920, to No. 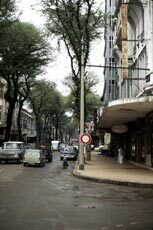 185 of the same street. 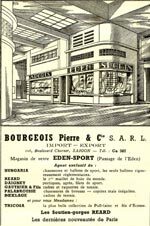 Mr. Portail also built, starting in 1914, a large printing facility on the corner of Cornulier-Lucinière and Rudyard Kipling Streets. 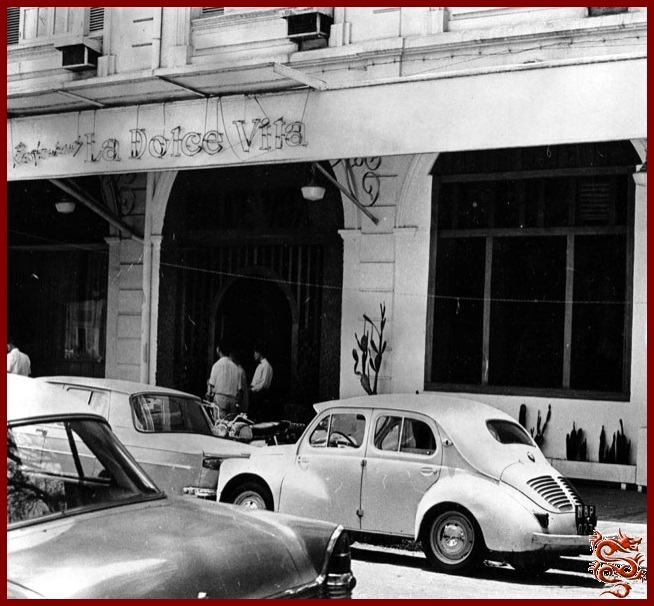 Finally in 1930, the expansion of his business in Phnom Penh led Mr. Portail to acquire a building located at No. 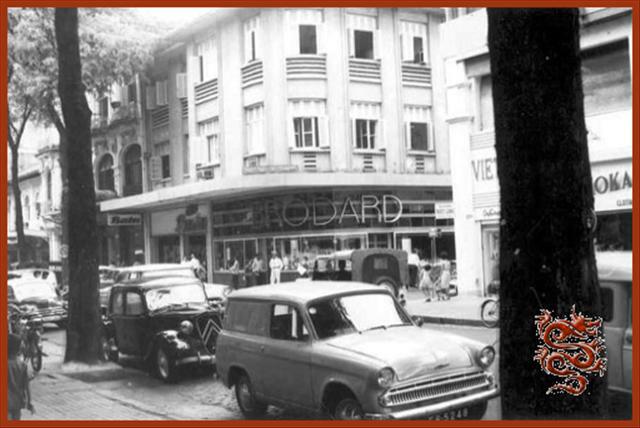 14 Avenue Boulloche, where he set up a modern printing shop as well as a book- and stationery store. 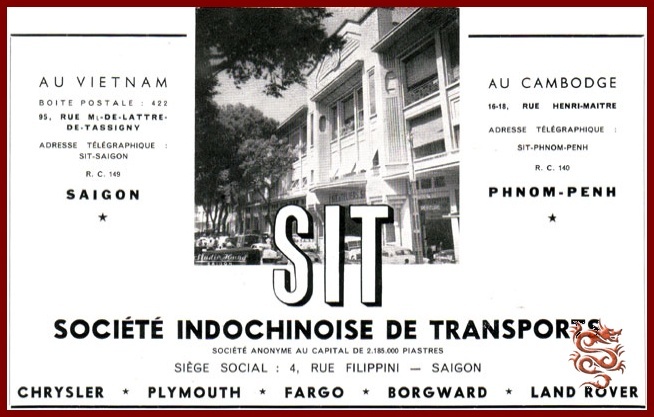 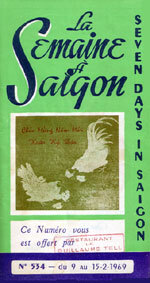 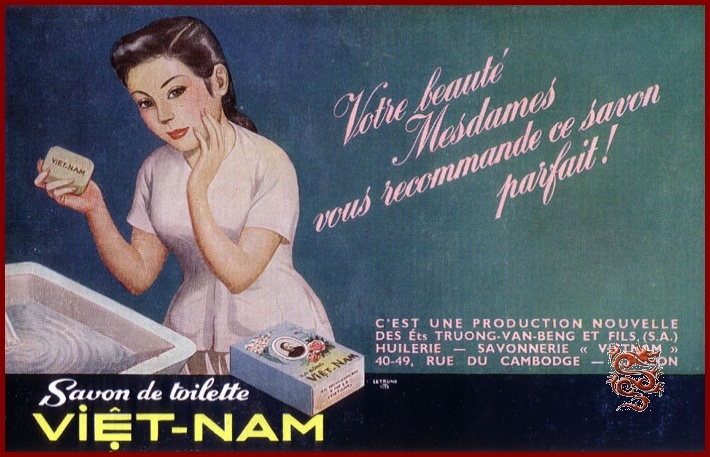 After the war, on January 1st, 1948, the Portail Printing Company of Saigon was sold to the Imprimerie Française d'Outre-Mer (The French Overseas Printing Company), Mr. Portail having decided to devote all his activities in South Vietnam to the book- and stationery business which was growing ever larger and which in 1949 led him to expand his stores which at the time took up five storefronts, from No. 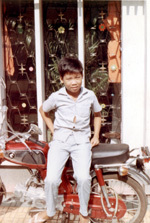 185 to No. 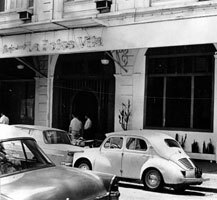 193 Catinat Street. 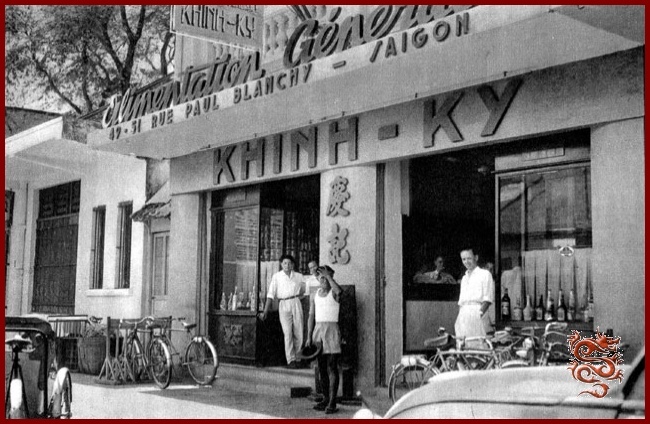 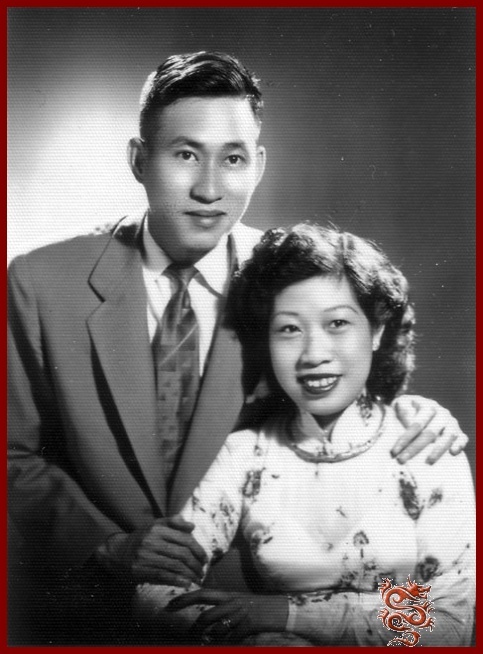 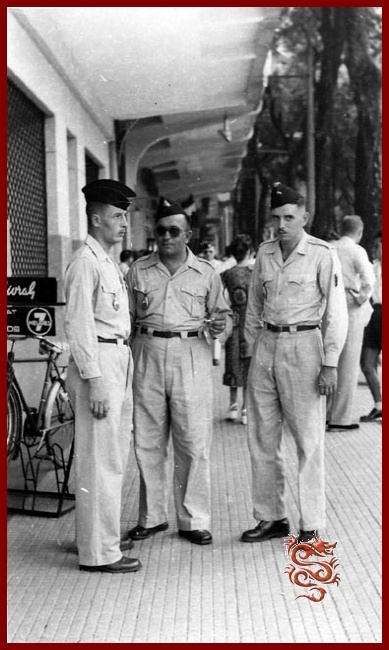 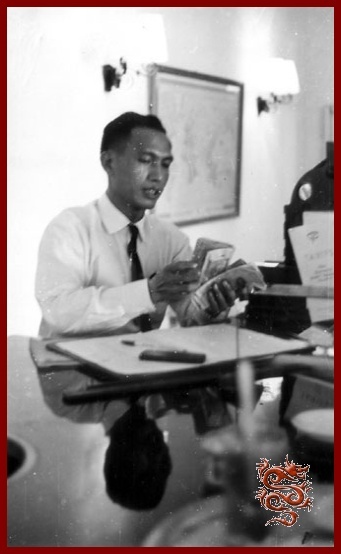 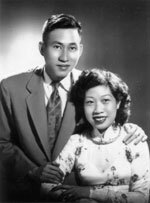 Mr. Albert Portail, who had left Saigon for good in 1953 and had entrusted the management of his businesses in Indochina to his two sons, René and Ernest, had also created a Purchasing Bureau in Paris which was now located at No. 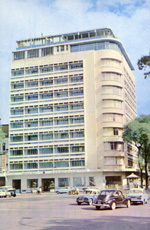 10, Chaussée d'Antin. 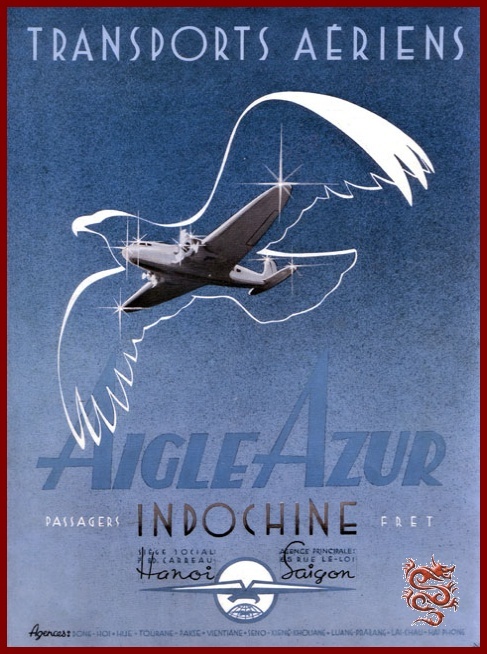 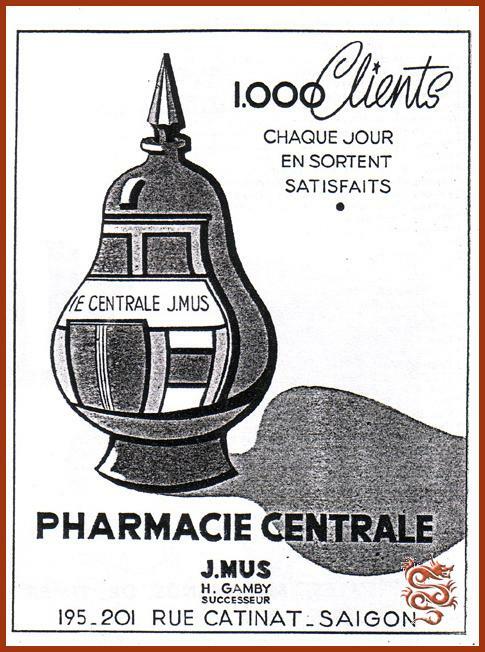 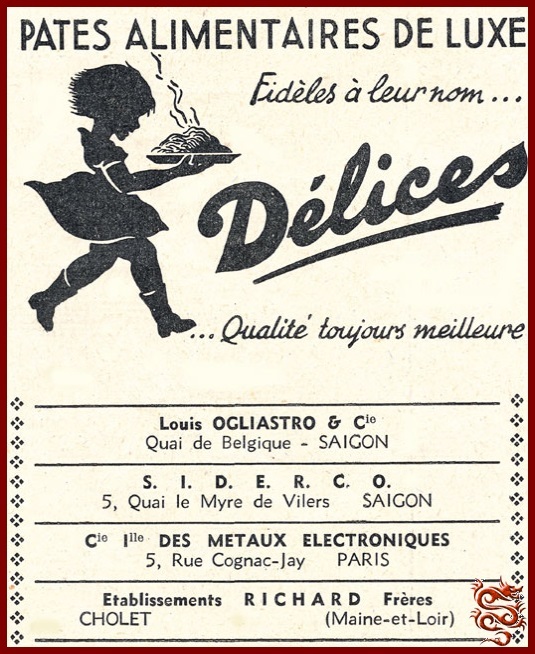 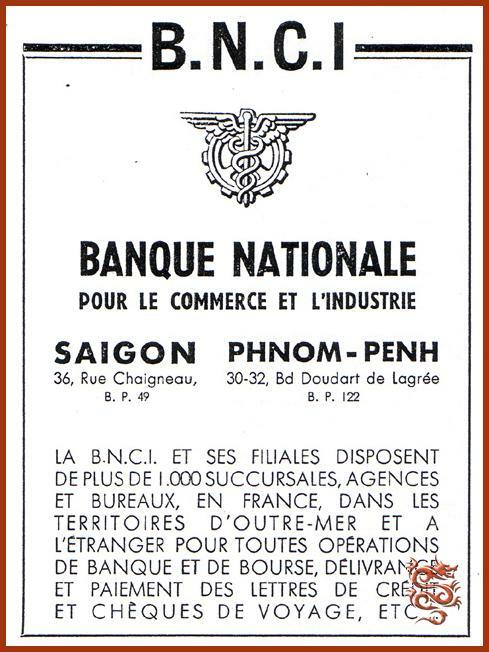 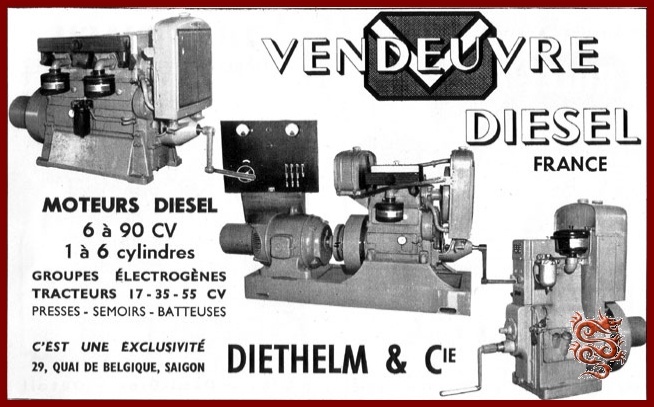 From of the end of the Second World War, this Purchasing Bureau was run by his son René and his businesses in Indochina by his eldest son Ernest, who was assisted, until May 15th, 1953, by its Director, Mr. Henri Duqueyroix. 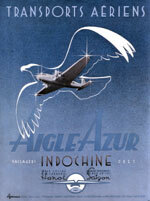 Mr. Duqueyroix retired in 1954 and was replaced in his duties by Mr. René Marquet. 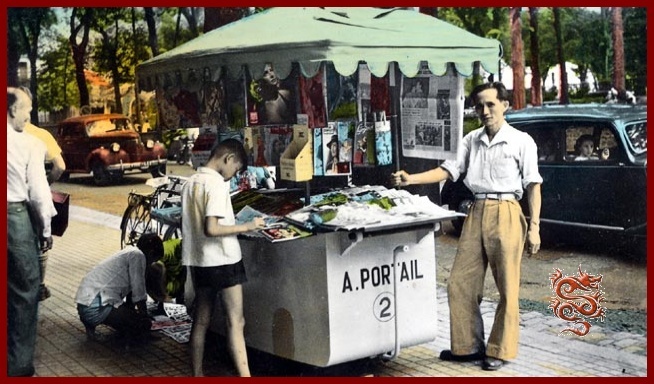 Propelled by this spirit of enterprise which remains an attribute of men of his generation, Albert Portail gave Indochina its largest distribution center for books, newspapers, magazines and periodicals from every nation and source. The International Cultural Organisation of UNESCO and the UN also entrusted the sale of their publications to the A. Portail Bookstore. 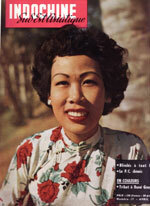 Its creator could not have received a better tribute. 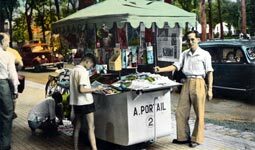 During the Second World War, despite his years, Mr. Albert Portail's conduct was a fine example of civic courage, worthy of his working past, as he was interned for many long months in the prisons of Chambéry, Saint-Paul d'Eyjeaux, Compiègne, and Fresnes. 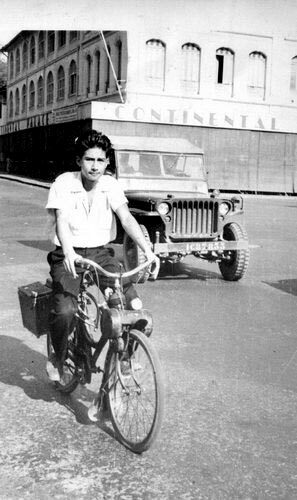 "The road to success bristles with difficulties". 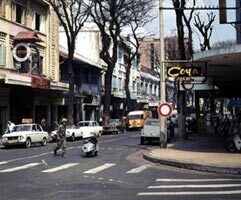 Near the harbor at the 80-82 Catinat Street next to the Hotel Majestic is the neighborhood of the Corsican Quarter with its numerous cafés and night clubs. 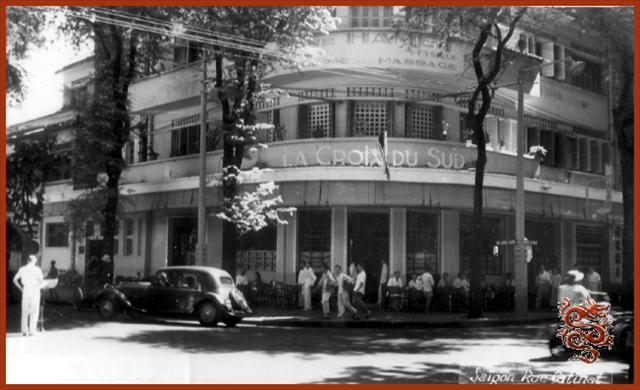 The best-known among them is “La Croix du Sud”, “The Southern Cross”, whose owner is a Corsican by the name of Monsieur Andréani. 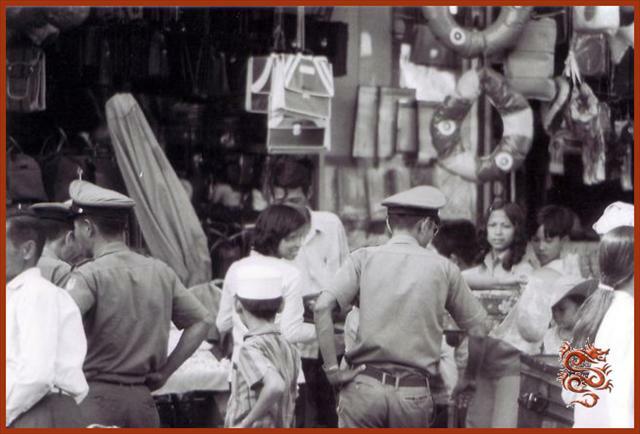 The women of the Andréani family keep a close watch over the cash register. 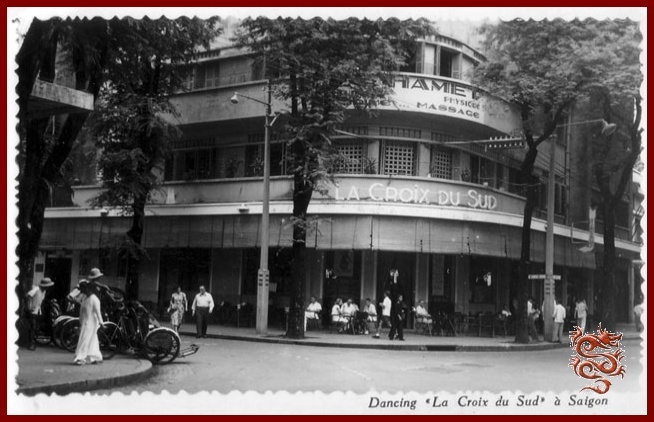 This establishment is frequented by military customers as well as other workers who come to listen to music played by an all-female orchestra of about a dozn members in dressed garnished in “frogs and loops”and plumes, all under dull florescent lights..
At “ La Croix du Sud ”, strict discipline reigns. 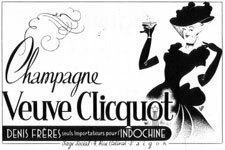 The audience is allowed only to drink and to look at the legs of the ladies of the orchestra! 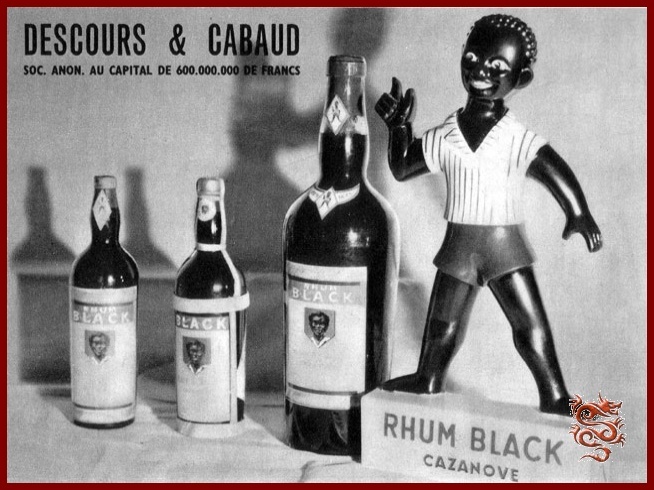 In the café’s back room which is his HQ, Mr. Andréani assembles his Corsican friends to discuss “real business”. 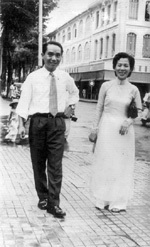 Mr. Andréani is a genuine celebrity in Saigon. 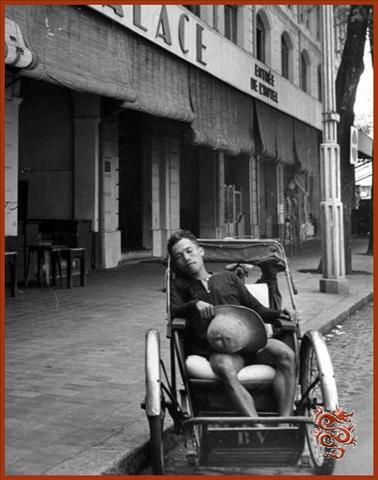 A shepherd in his native Corsica, he arrived in Indochina as a seaman before the Second World War and was first a pimp, and then ran a brothel. 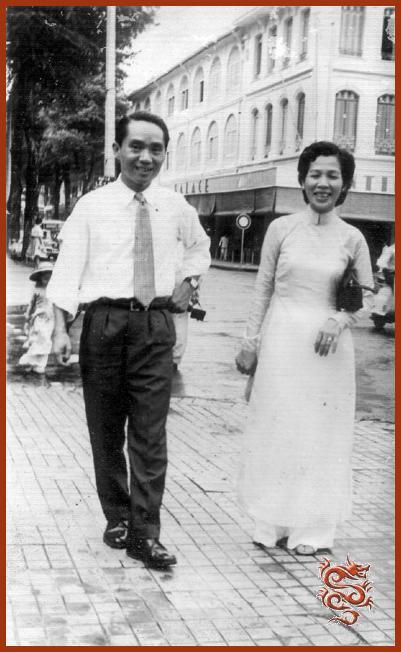 After that Mr. Andréani would be involved in the traffic of piasters, and would maintain excellent relations with the deciders of the time, the Chinese billionaires of the “Grand Monde” (a gaming establishment), well-off Vietnamese women and even high-level French bureaucrats. 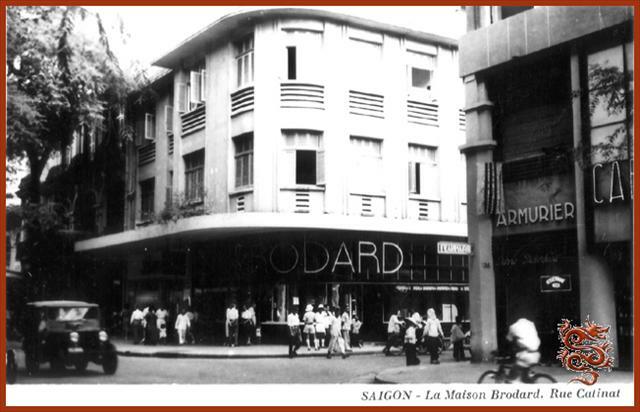 The Bar "La Pagode" is located at 209 Catinat Street at the corner 47-57 Lê-Loi Street. 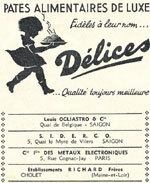 French pastries specialities, tea room, bar. 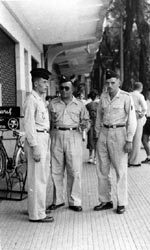 It was the rendezvous for French military personnel. 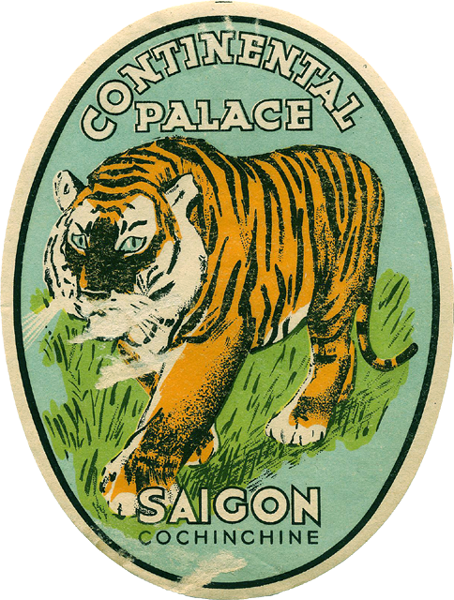 A corporation with a capital of 28 million Indo-Chinese Piastres. 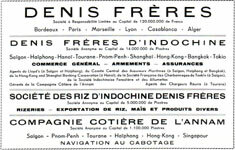 Import-Export; Armaments; Insurance; Agents for: Lloyds of London, The Committees of Maritime Insurers of Paris, Le Havre, and Nantes. 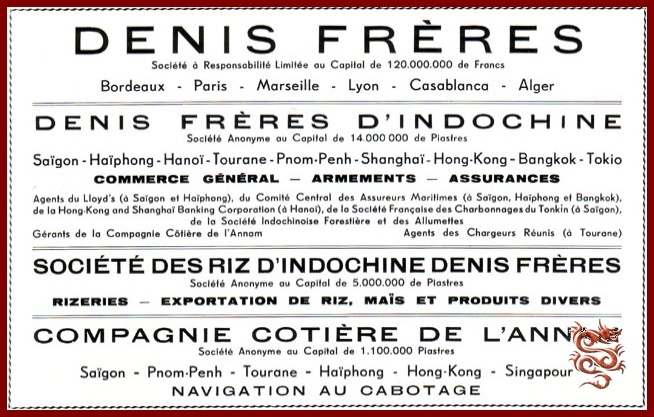 Representatives in France: "Denis Frères" in Bordeaux. 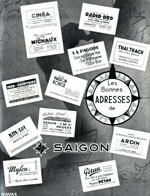 Mont-Blanc milk, Bisquit Dubouche Cognac, Veuve Clicquot Champagne, Cap Corse Mattei, Quinquina Saint-Raphaël, Rhum Duquesnes, Barton & Guestier Bordeaux wine, Dopff Alsatian wine, Blédine Jacquemaire. 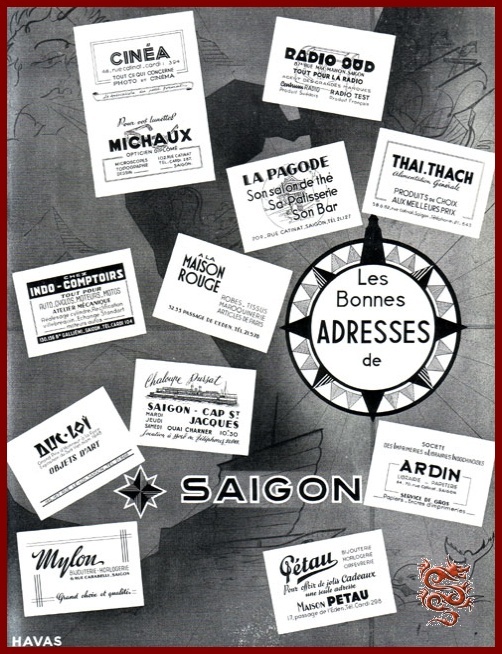 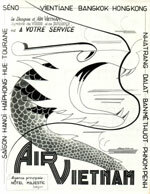 Air France, Air Vietnam, Union Aéro Maritime de Transport, Transport Aériens Intercontinentaux, Pan American Airways, Cathay Pacific Airways, Macau Air Transport, Air Ceylon. 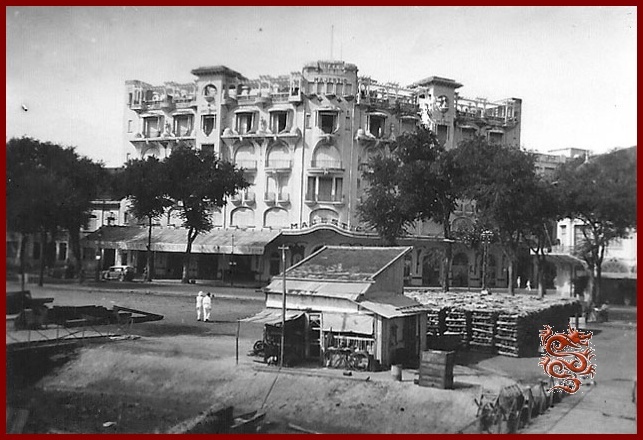 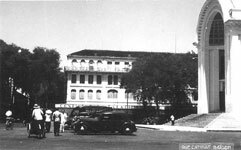 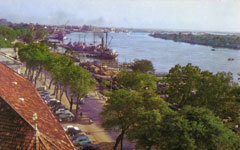 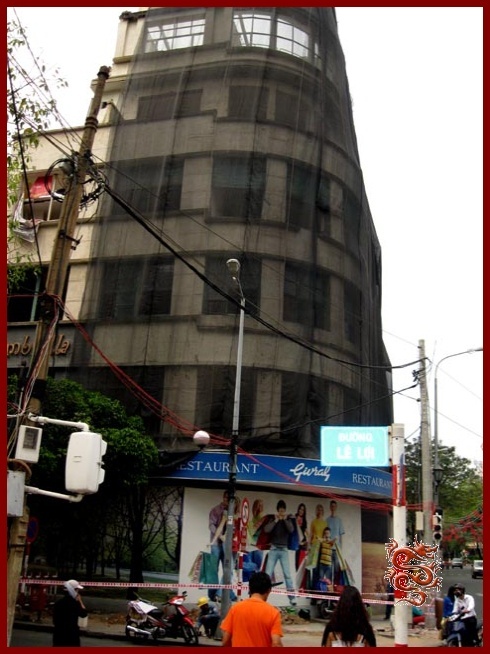 Built in 1925, the hotel is located right at the end of Catinat St. (now Dong Khoi St.), at the corner of the Le Myre de Villiers embankment (now Ton Duc Thang St.). It consists of four levels and 44 rooms in the colonial style. 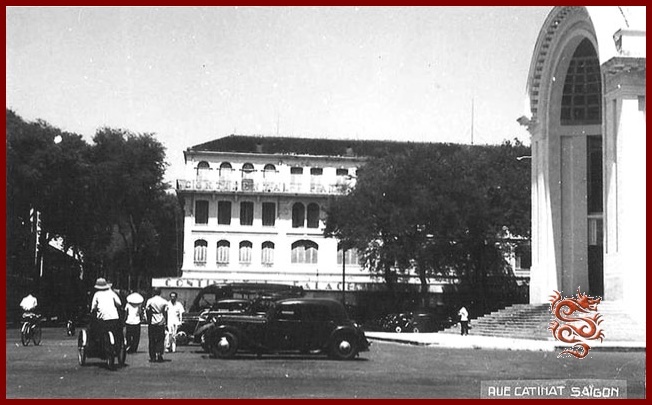 During the Second World War the Japanese Imperial army used this building as a barracks. 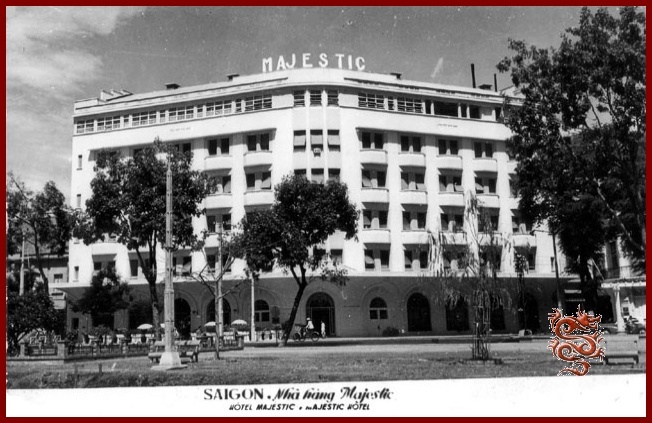 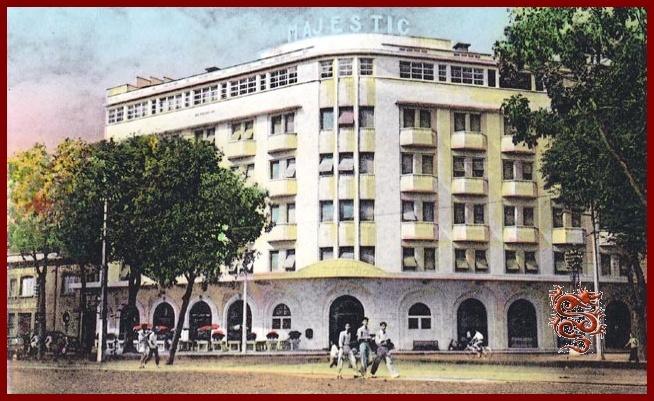 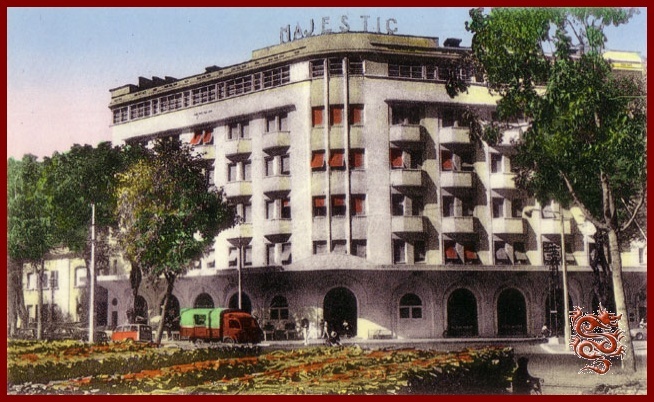 During the Vietnam War the Majestic was used by war correspondents from all over the world. 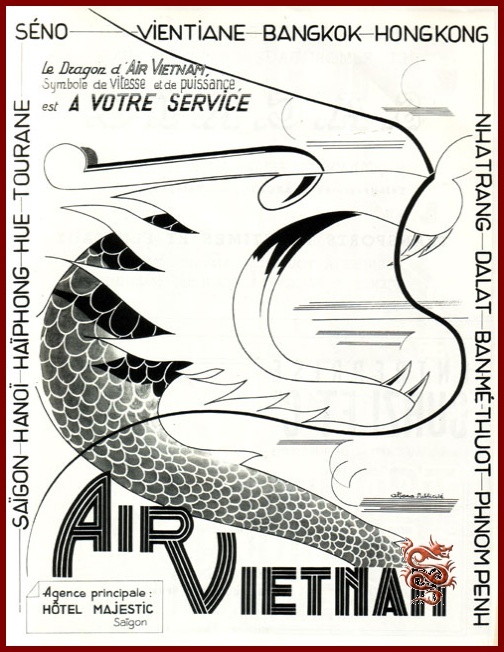 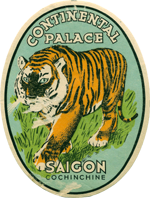 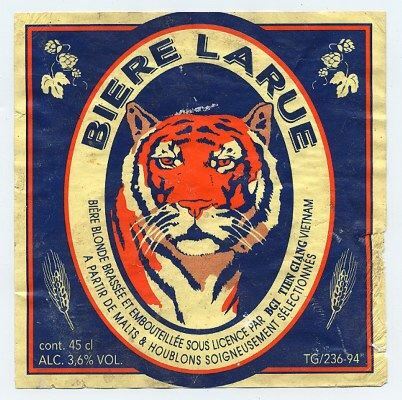 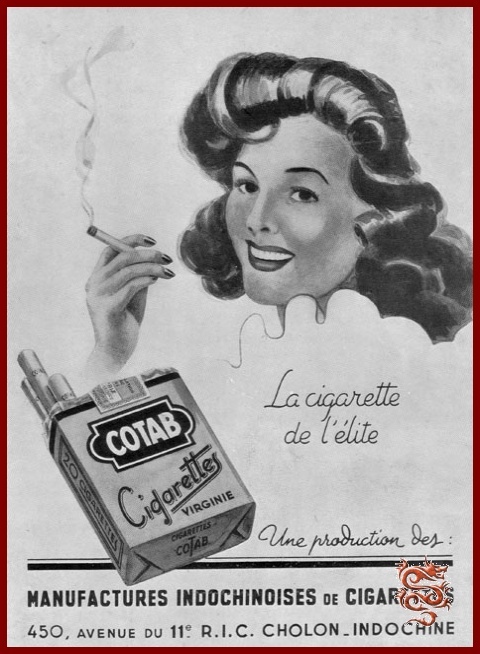 In 1948 it was purchased by the Tourism and Exposition of Indochina Company; in 1951 it was granted as a concession to a certain Mathieu Franchini by the Office of Tourism and the Ministry of Finance. 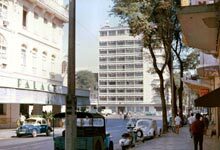 At the expiration of this concession in 1965, the Office of Tourism refused to renew Mr. Franchini’s contract, as he was in a delicate position due to the severance of diplomatic relations between France and Vietnam on June 24, 1965. 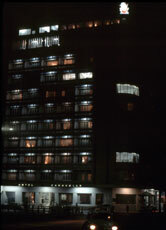 In 1968 the hotel gained two floors, an international conference center, a restaurant, and a few additional rooms. 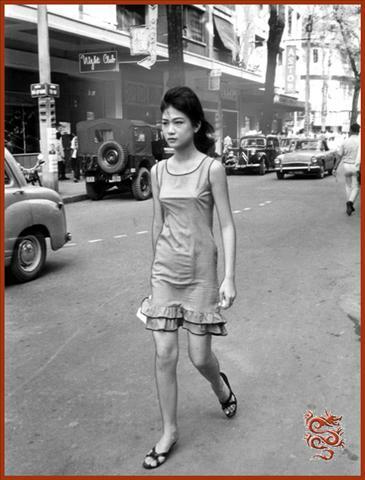 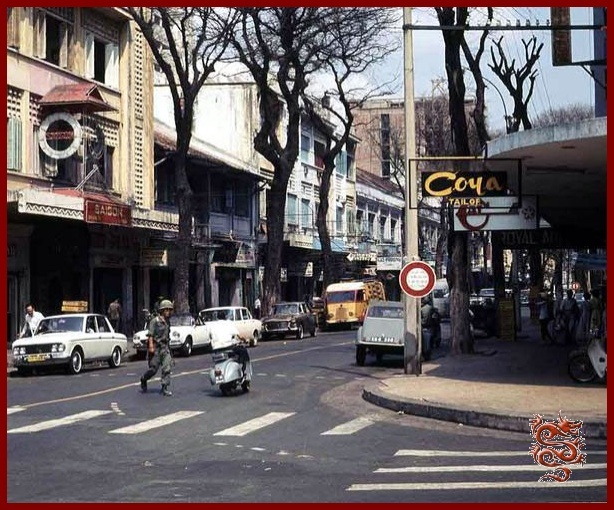 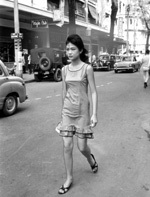 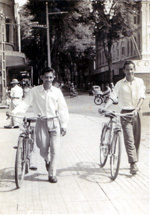 The famous Catinat Street would become Tu Do (Liberty) Street from 1955 to 1975 during the war between South- and North-Vietnam. 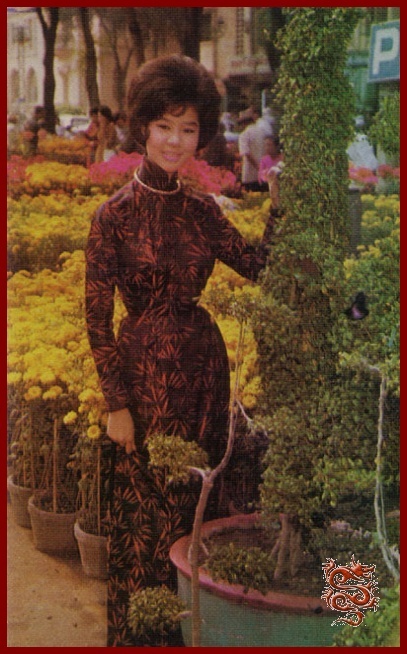 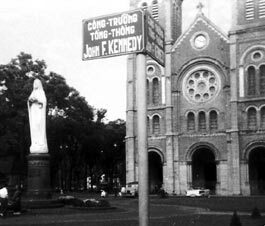 After the fall of the South-Vietnamese government it would be renamed Đồng Khởi (General Insurrection). 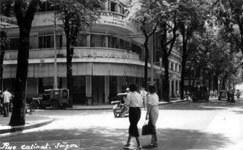 Saigon Palace Hotel (or Grand Hotel) was during a long time the third most important hotel on Tu Do Street (formerly Catinat). 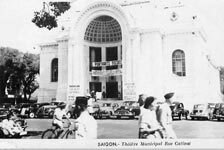 The Municipal Theater was built in 1910 by the architecture firm of Félix Ollivier, Ernest Guichard, and Eugène Ferret. 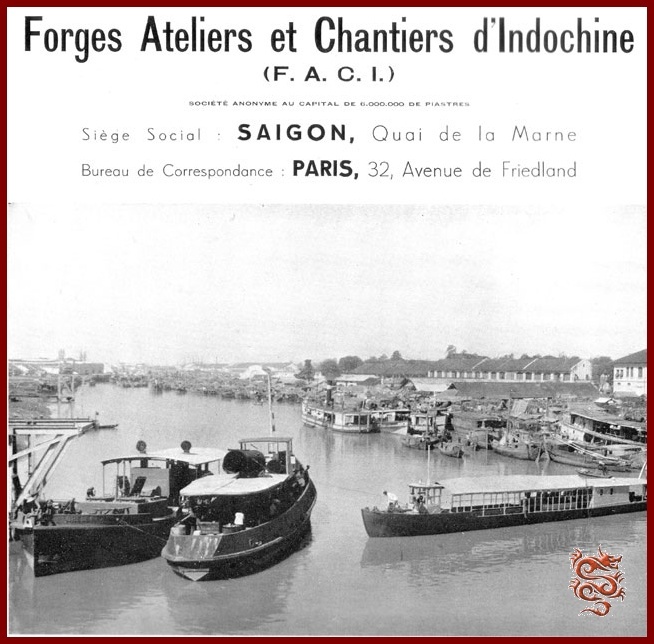 Hosting theater companies from Paris or divas just passing through, it enlivened somewhat the city in which the elite got bored in the evening. 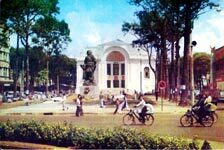 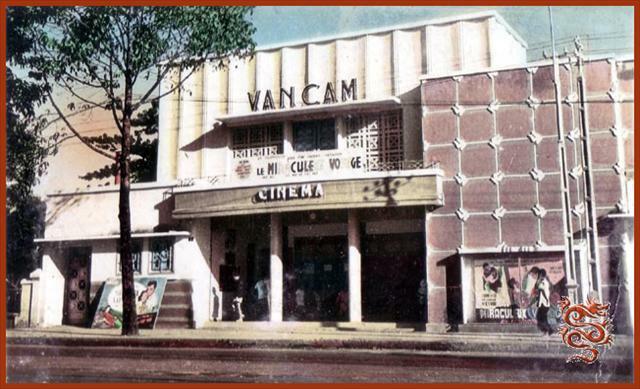 Last in the 50‘s and the beginning of the 60’s this theater was the seat of the South Vietnamese parliament. 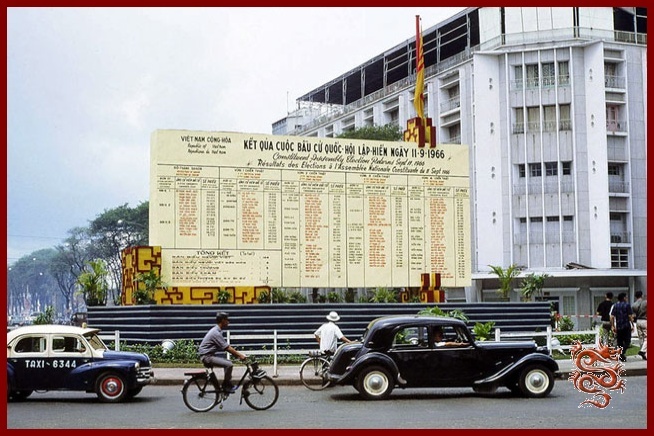 For the 300th anniversary of the founding of Saigon the city government had a part of the façade’s décor reconstructed. 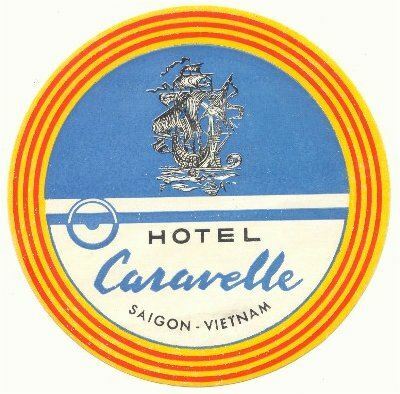 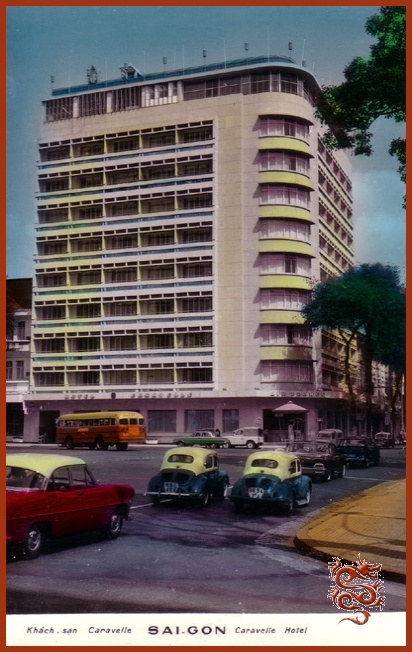 The Hotel Caravelle opened in 1959, at the time, it was located on Francis Garnier Square (Theater). 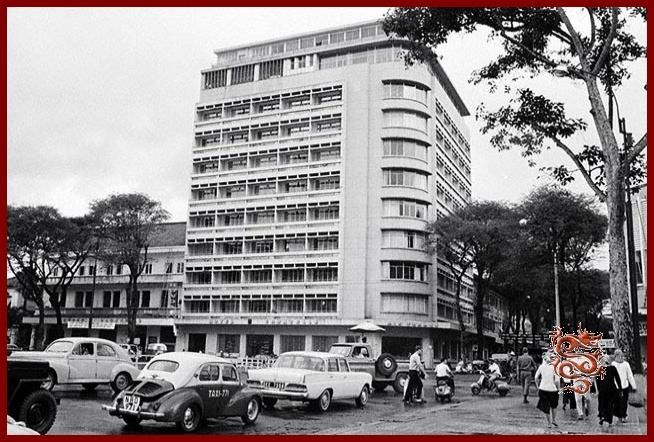 It housed numerous foreign embassies during the 1960's, as well as the bureaus of the "New York Times" and the "Washington Post". 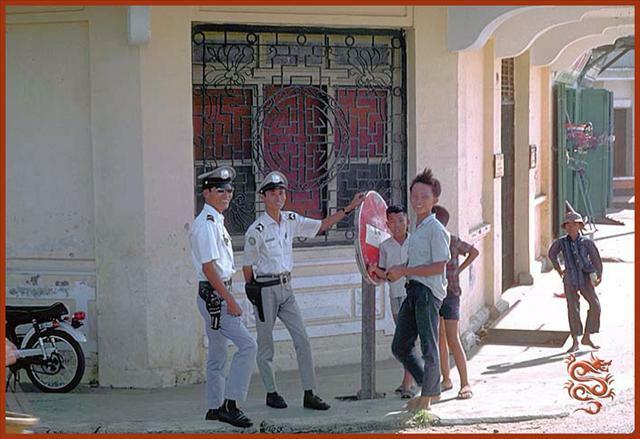 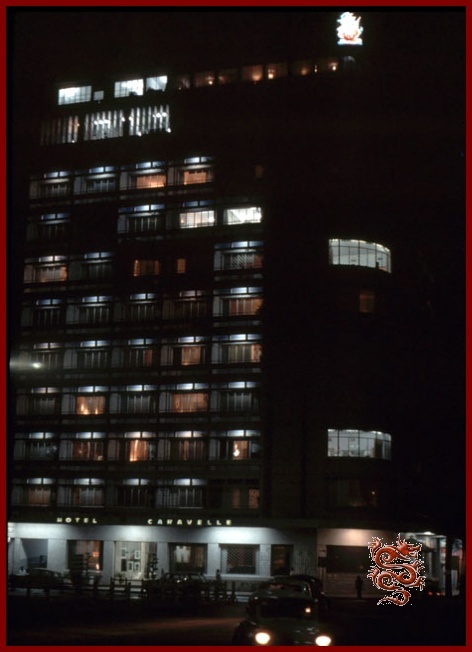 In August 1964 it was the target of a bombing, and in 1975 the hotel was nationalized by the new regime. 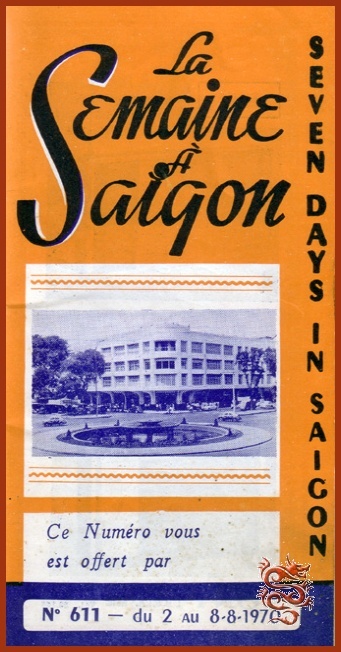 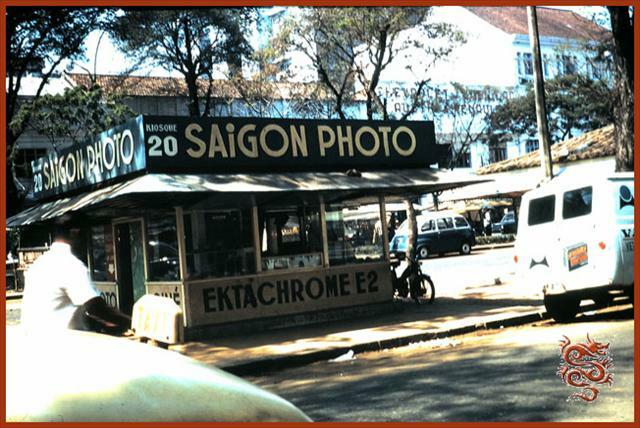 It returned to its original name in 1998 following a complete renovation on the square presently known as Lam Son. 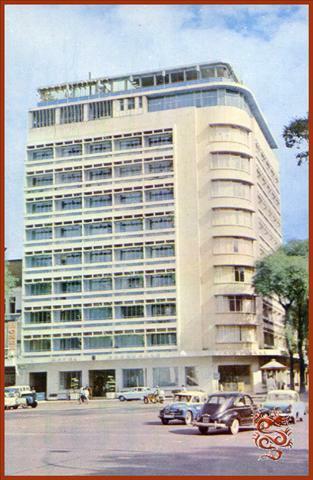 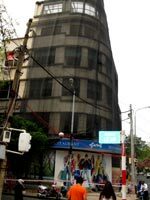 "Air-France" Agency is located at Caravelle Hotel ground floor at the corner of Tu Do Street (formeley Catinat) and Law Son Square (formely Francis Garnier or Theater). 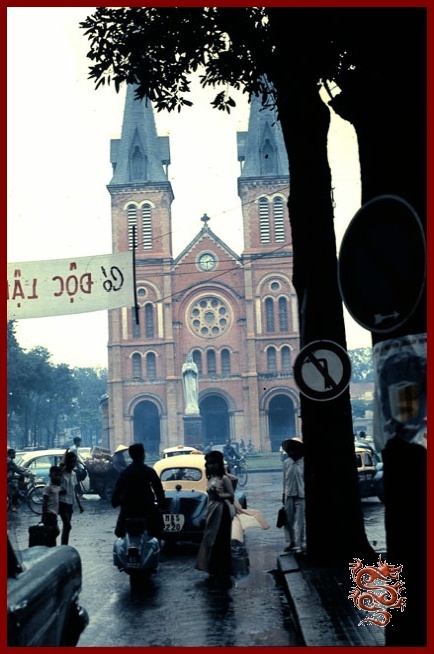 In August of 1876 the governor of Cochin China, Mr. Dupré, organized a contest to determine the architectural style of Notre Dame Cathedral. 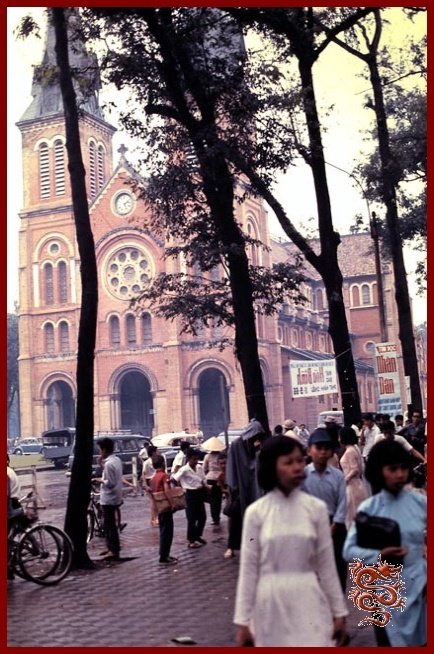 The purpose of this was twofold: to give the colonial missions a place to worship, but also to show the Vietnamese, through architecture, the strength of French civilization. 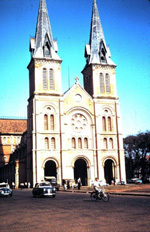 The project, by architect Jules Bourad, was based upon the Cathedral of Notre Dame of Paris, but smaller in size with a Romanesque revival and Gothic style. 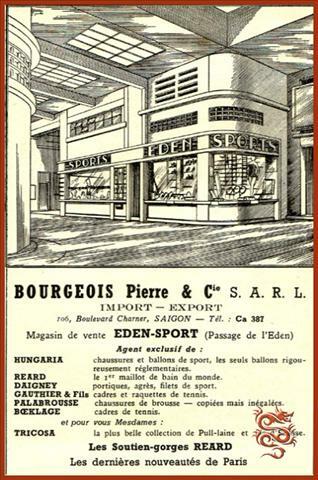 All construction materials were imported from France. 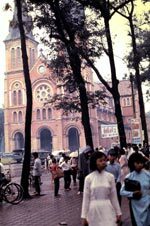 In particular, the outside of the structure was fashioned of bricks made in Marseilles, and without a coating, has retained its original bright pink color. 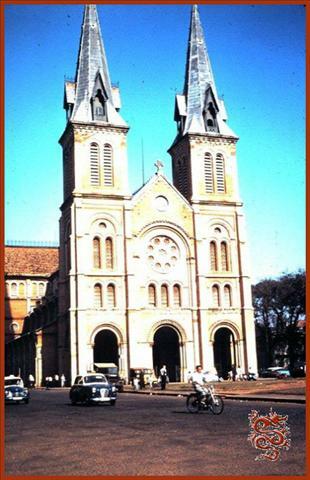 With its 93 m. (305 ft.) length, 35.5 m. (116.5 ft.) width, and 57.6 m. (189 ft.) height from the ground to the tip of the steeple. In 1895 two bell towers were added to the cathedral, each 57.6 m. (189 ft.) high featuring 6 bronze bells for a total weight of 28 (metric) tons, made in France. 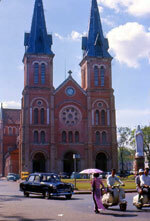 Crosses were added to the top of each tower; they are 3.5 m (11.5 ft.) high, 2 m. (6.5 ft.) wide, and weigh 1000 Kg. 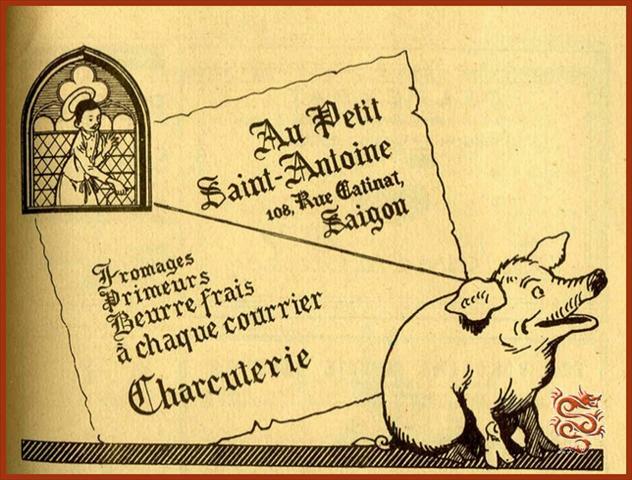 (2200 Lbs.). 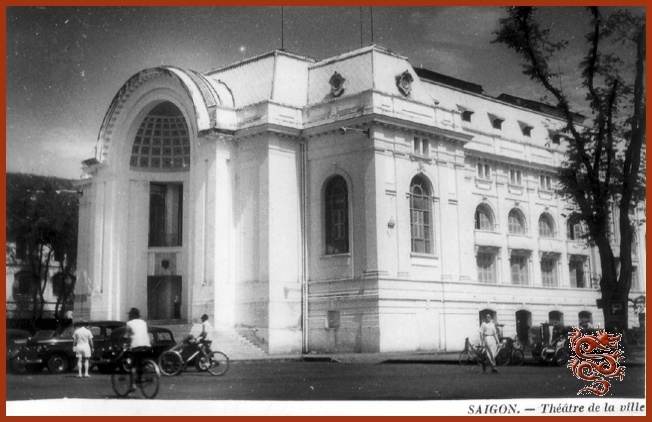 At the end of the 19th	century the building symbolized the most beautiful workmanship of French Indochina, more specifically of the Indochina Union. 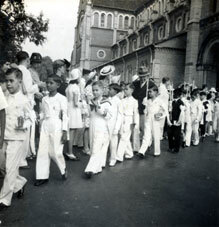 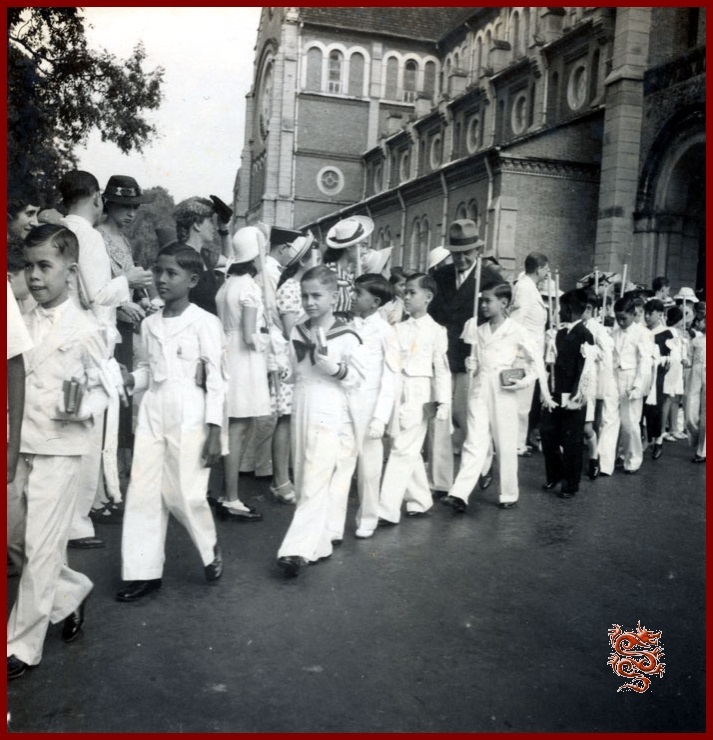 Holy Communion on Sunday, May 28th, 1938 in the Notre-Dame of Saigon cathedral. 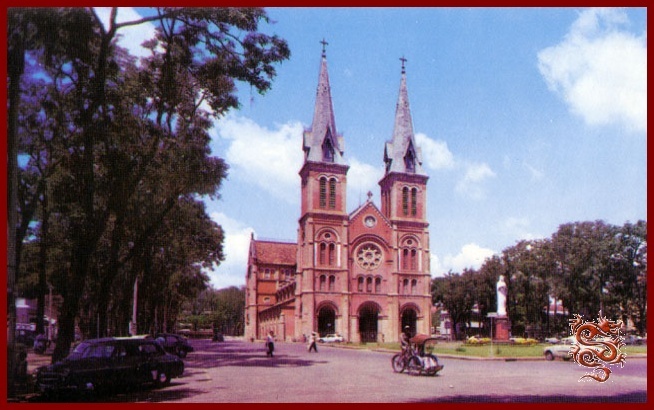 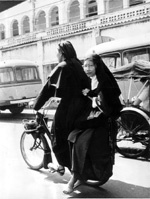 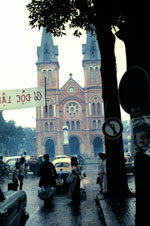 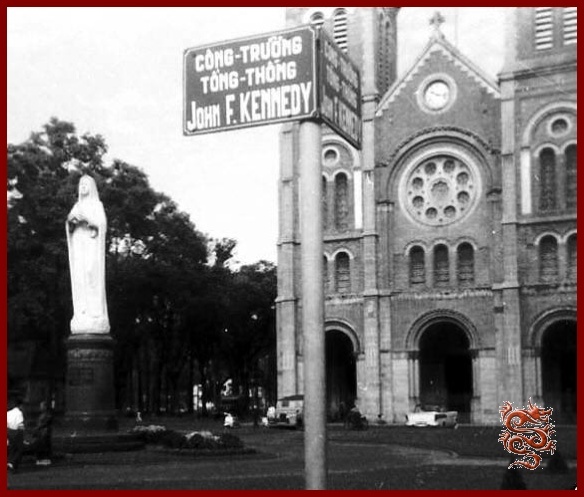 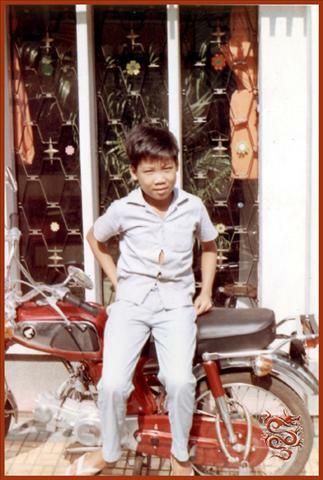 On 7 and December 8, 1959, with the approval of the Vatican, the cathedral was consecrated Saigon Basilica.